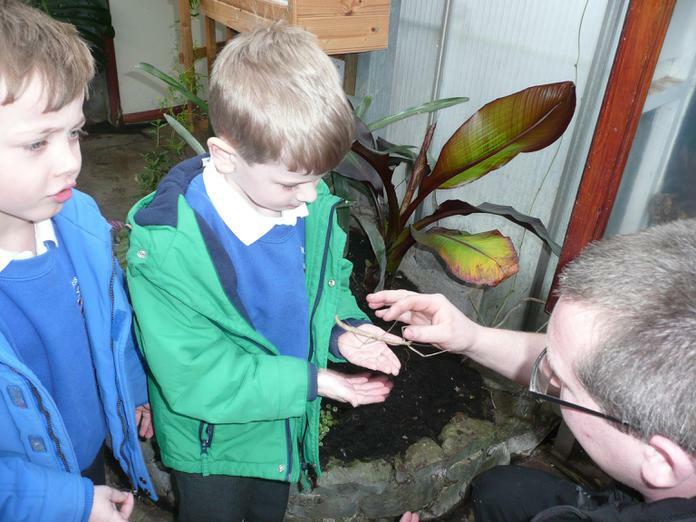 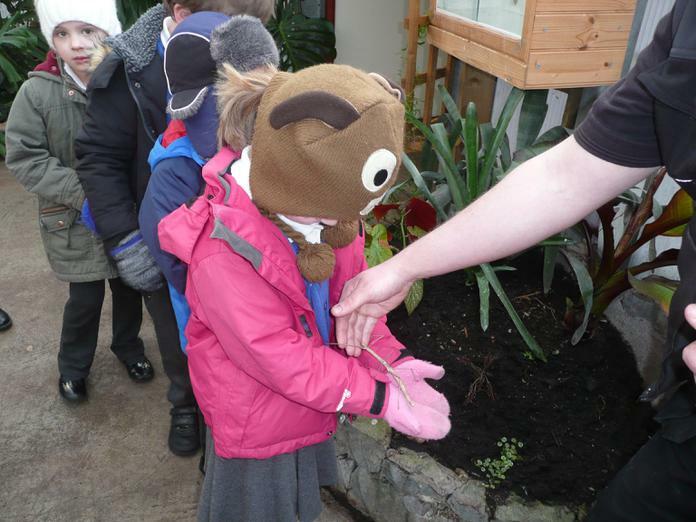 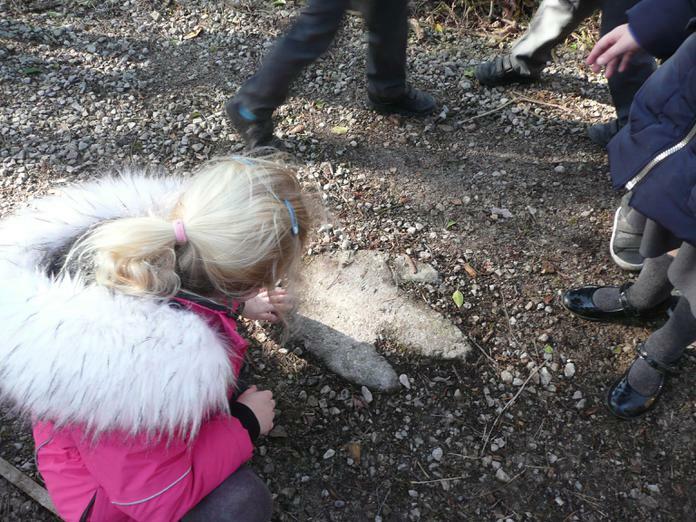 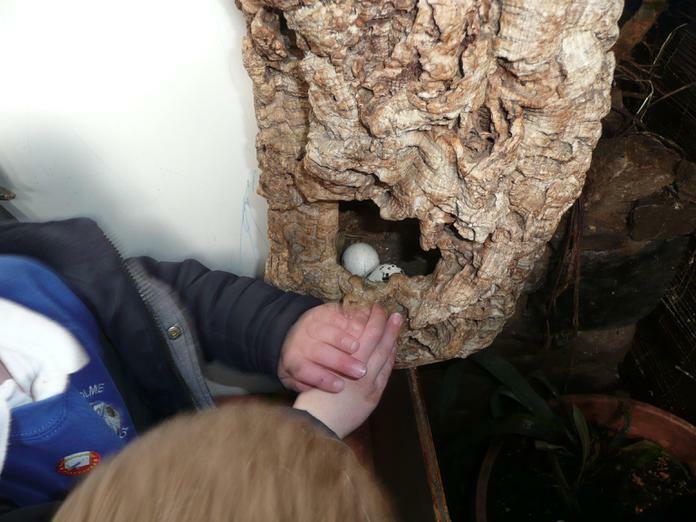 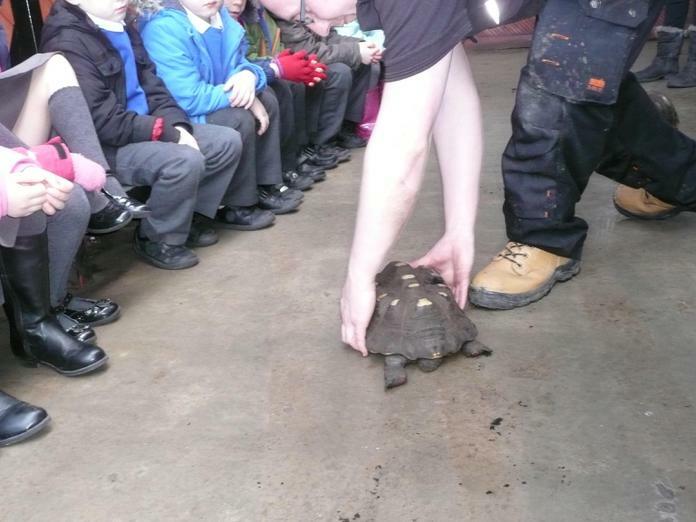 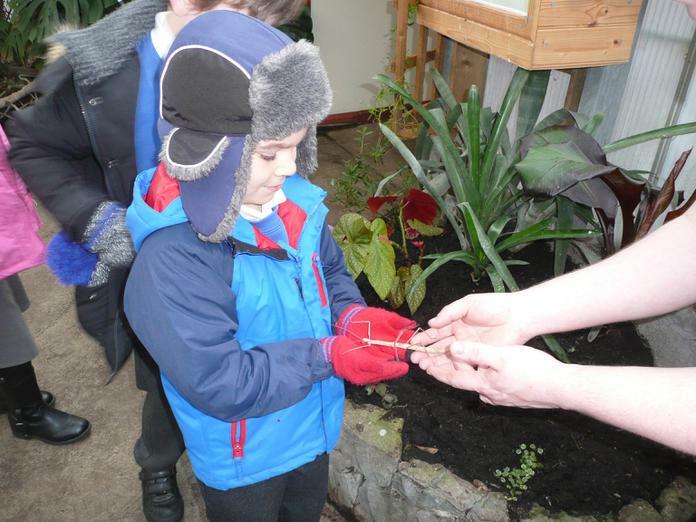 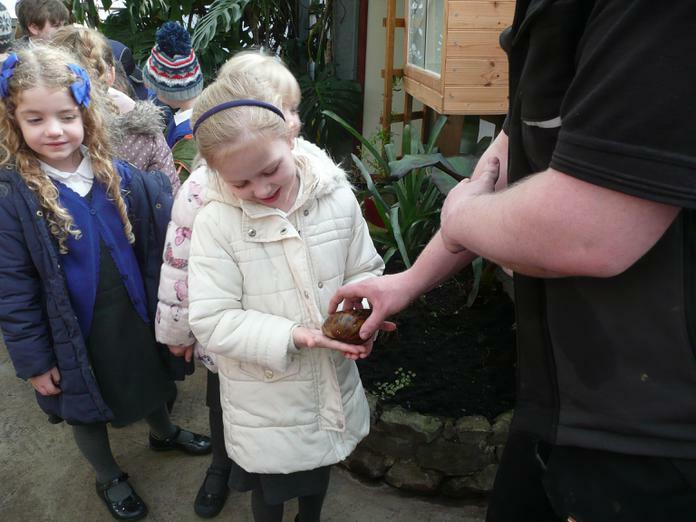 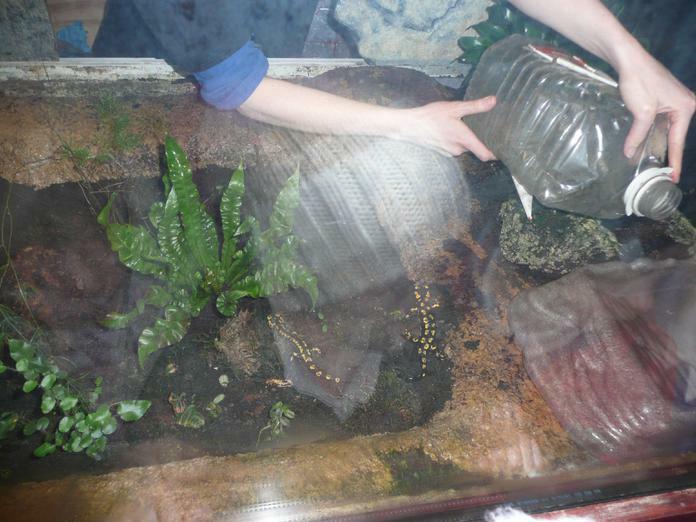 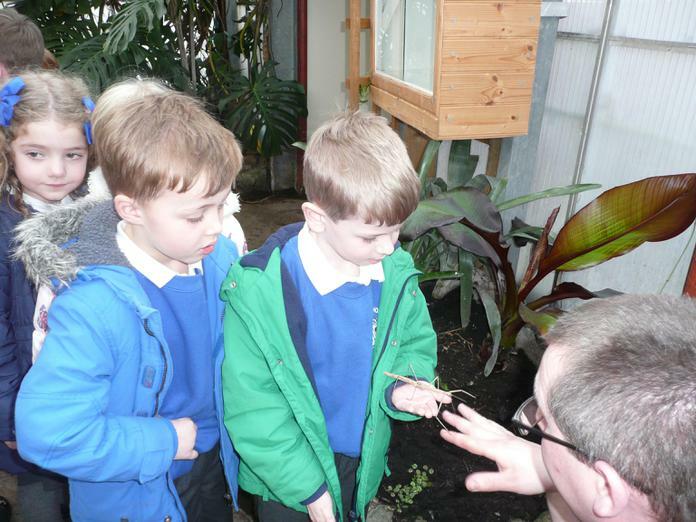 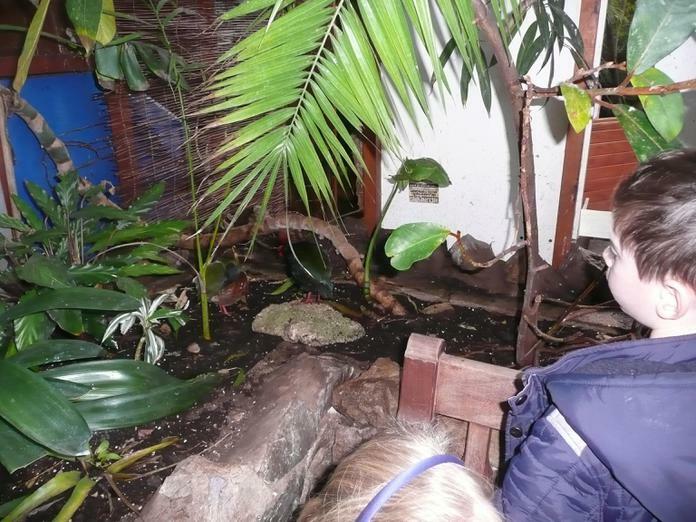 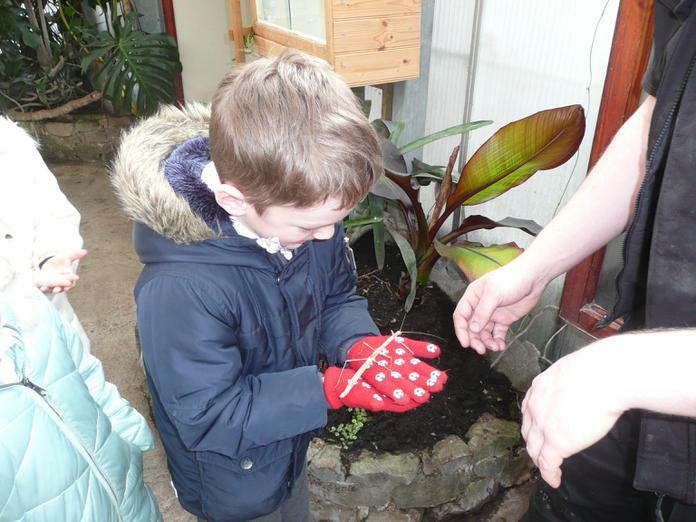 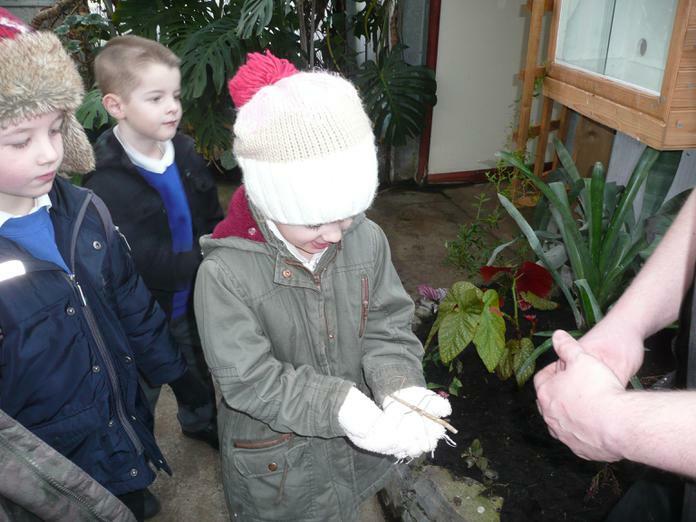 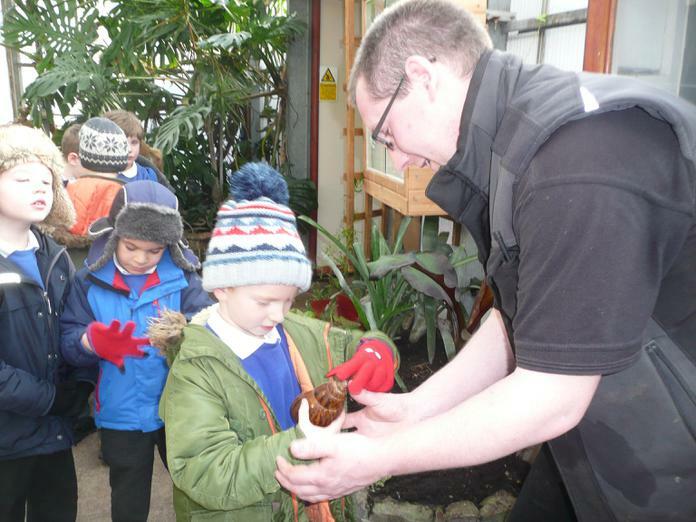 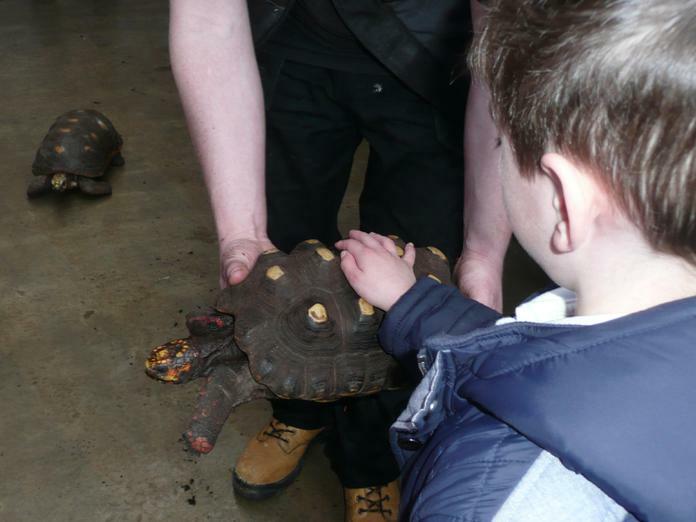 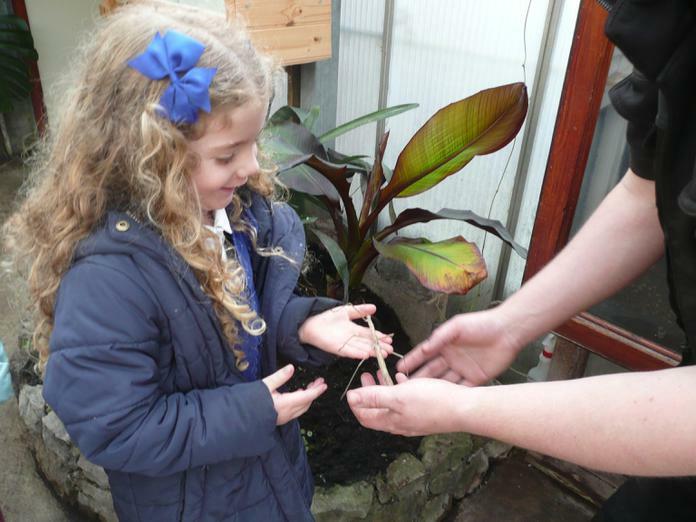 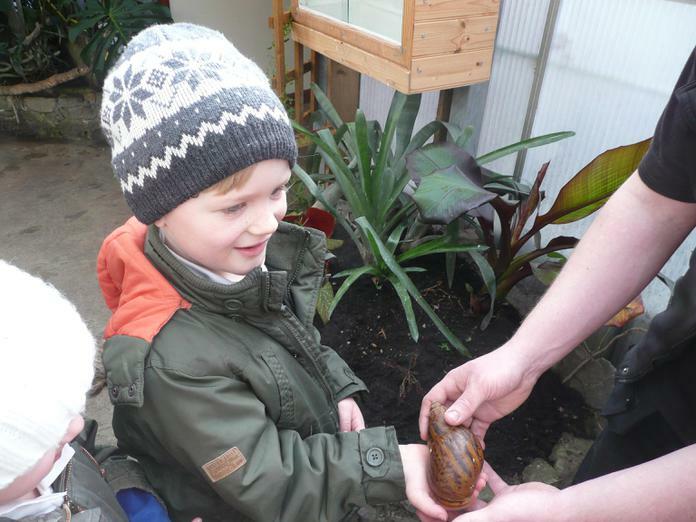 Mrs Penney paid a visit to year 1 this week to show us some mysterious eggs which had been found in the school grounds. 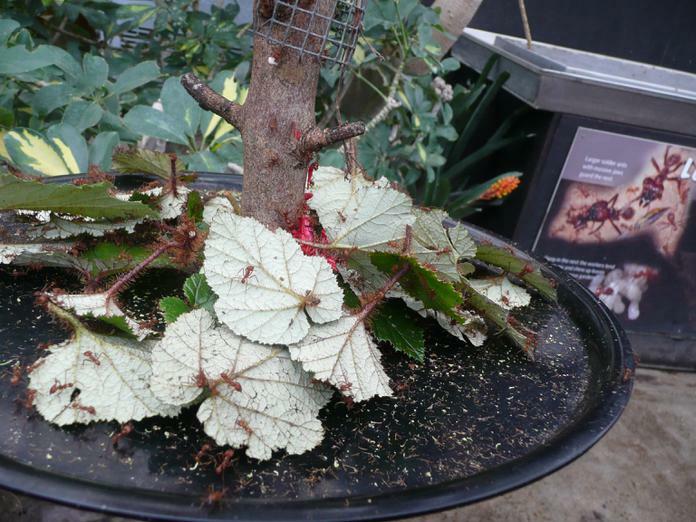 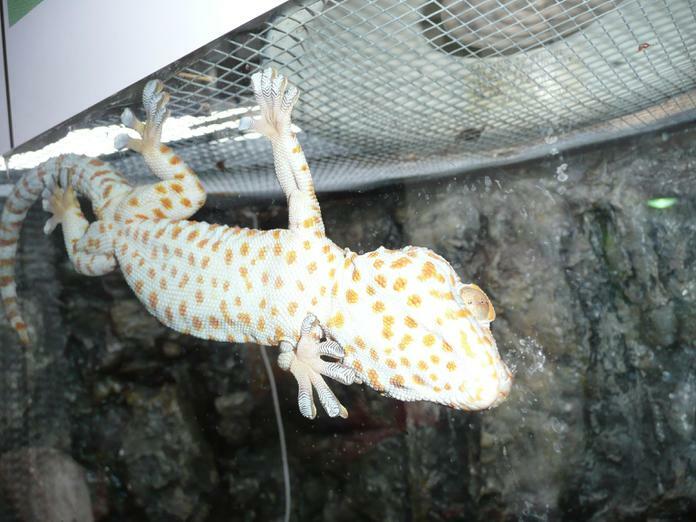 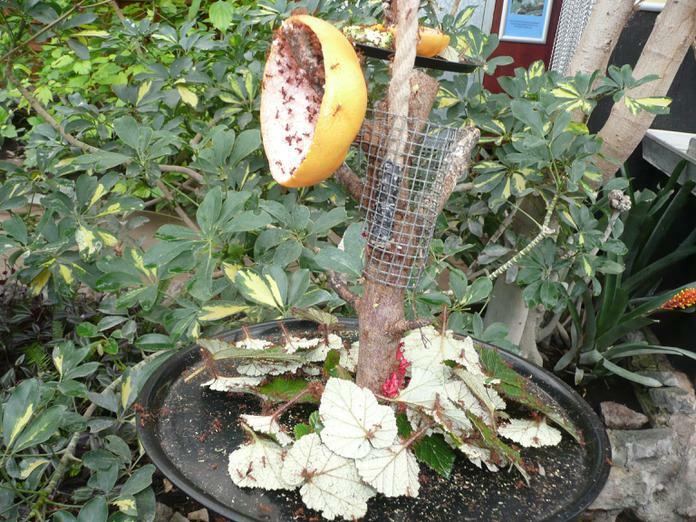 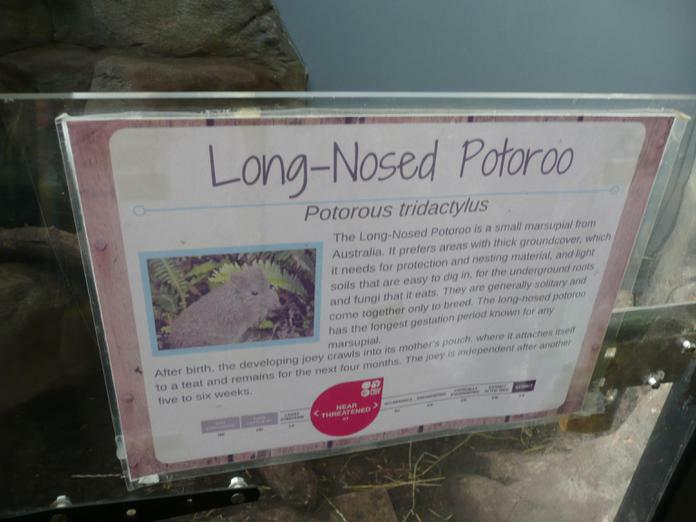 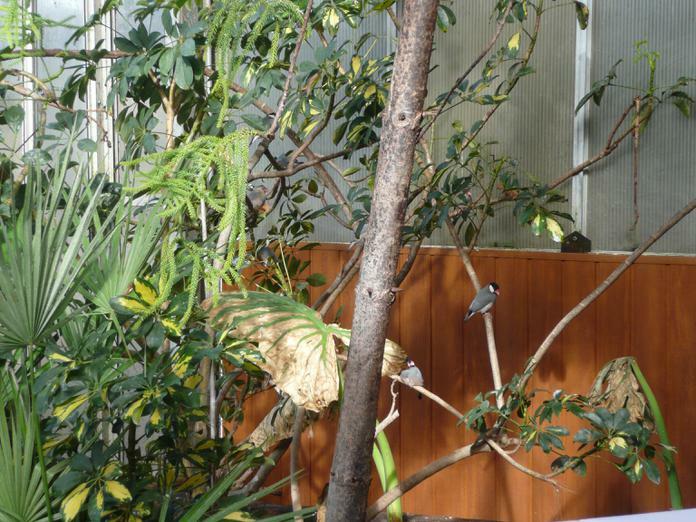 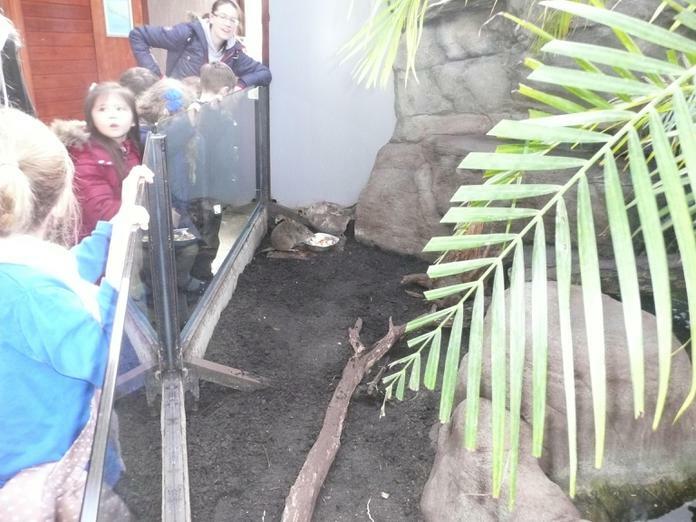 She had no idea where they had appeared from or which animal might have left them. 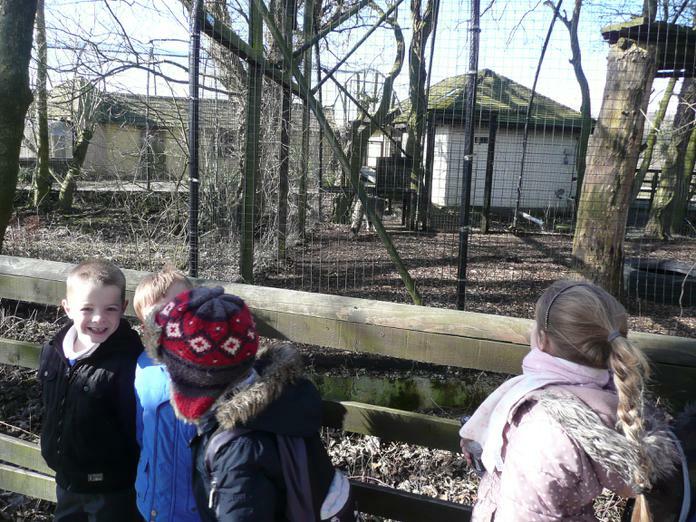 After checking the CCTV footage together, we discovered that a very interesting visitor had been prowling around our playground! 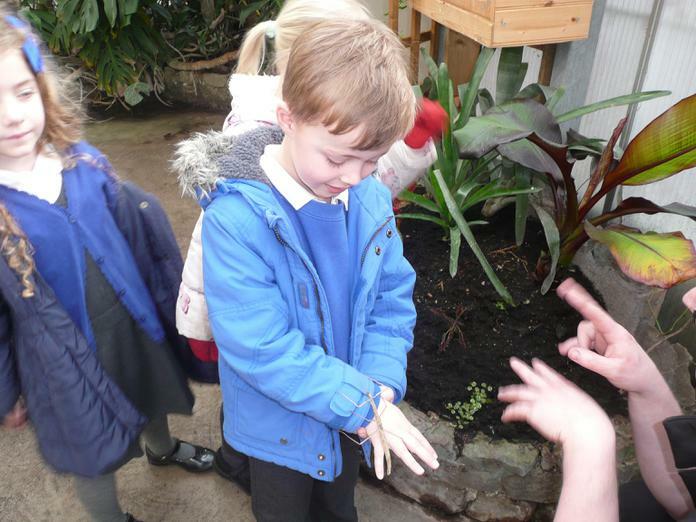 Mrs Penney left the eggs with us and we are going to find out what they are and where they might have come from! 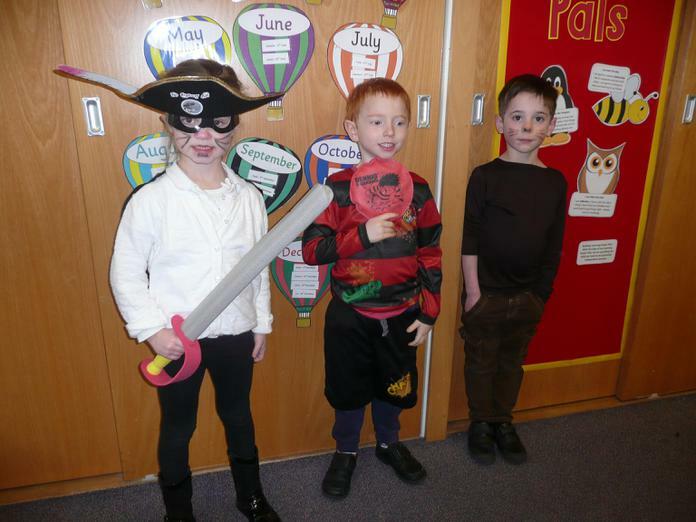 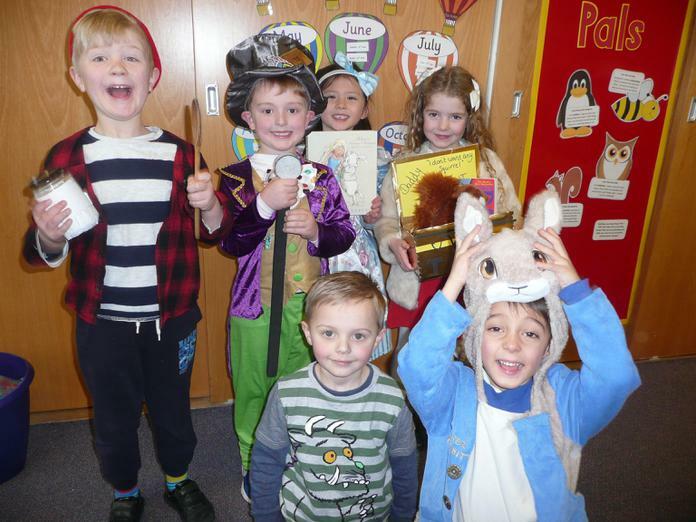 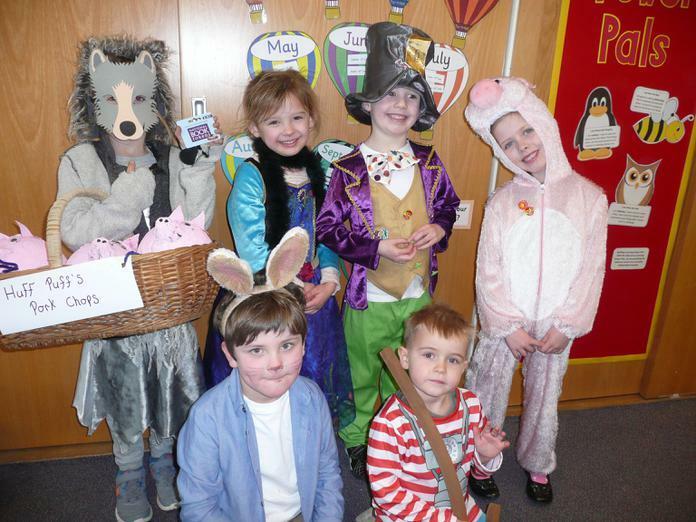 A big thank you to all of our parents who helped to make World Book Day so much fun for the children. 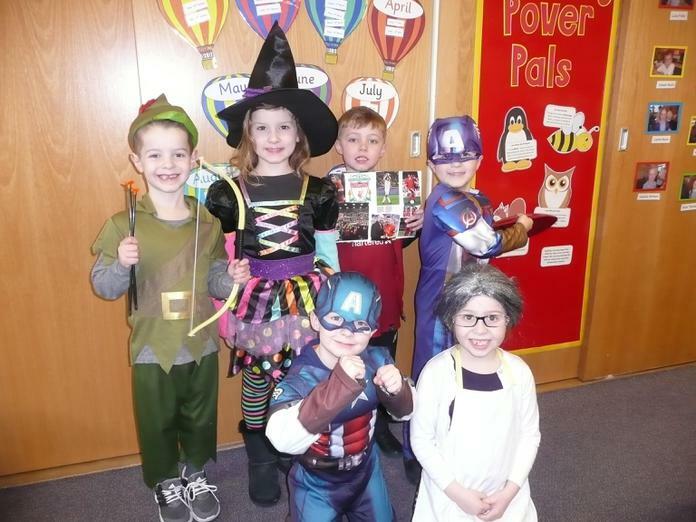 They looked fantastic in all of their different costumes! 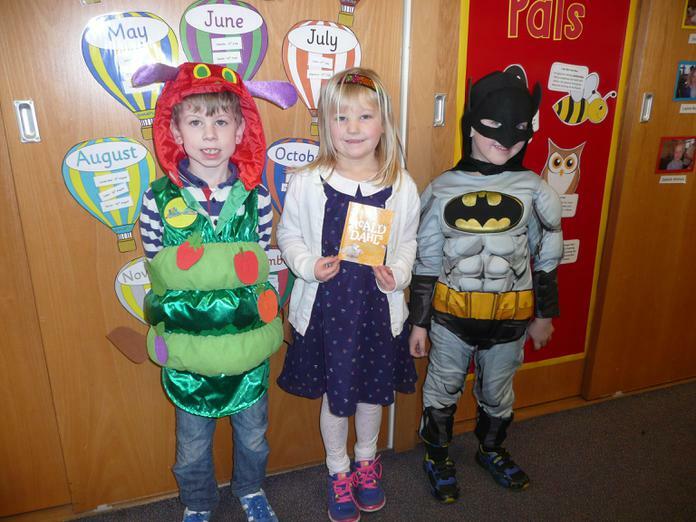 Everyone has been given their £1 book token today to put towards a book of their choice or to buy one of the special £1 World Book Day books. 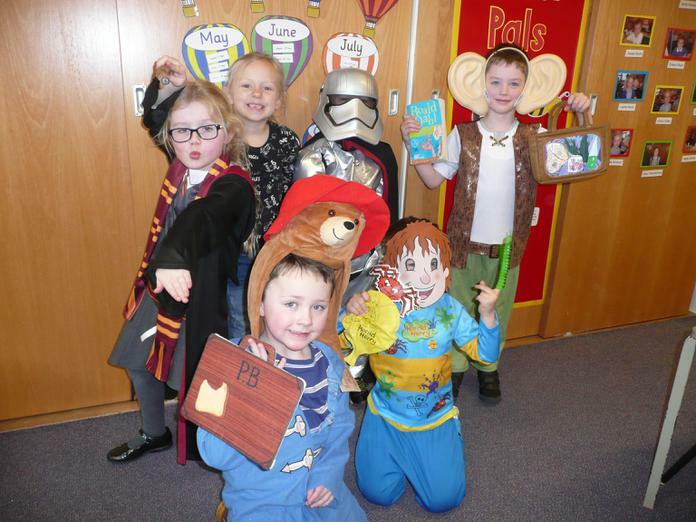 If you are unable to get to a participating book shop in the next few weeks to redeem the token, we will be accepting the tokens at our book fair which will be held during the week of parent consultations. 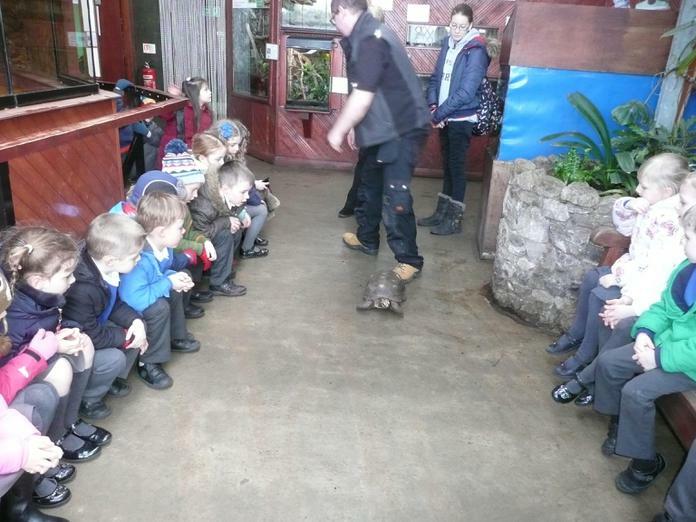 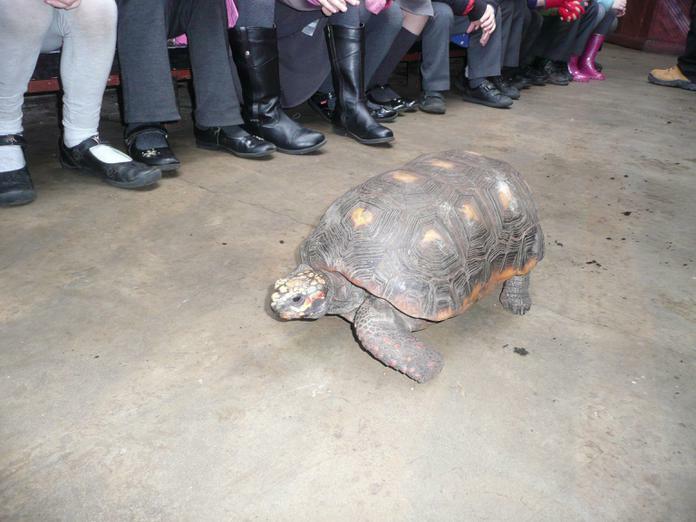 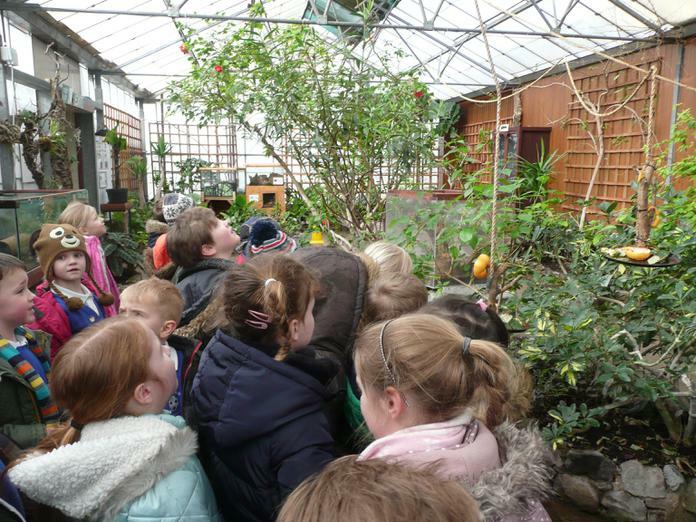 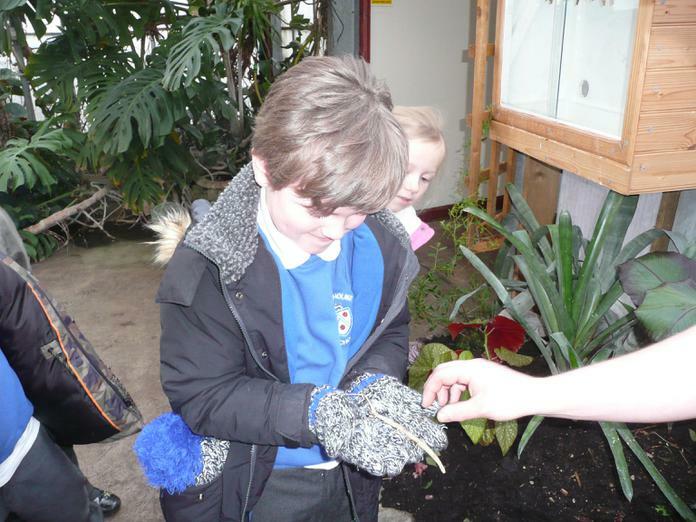 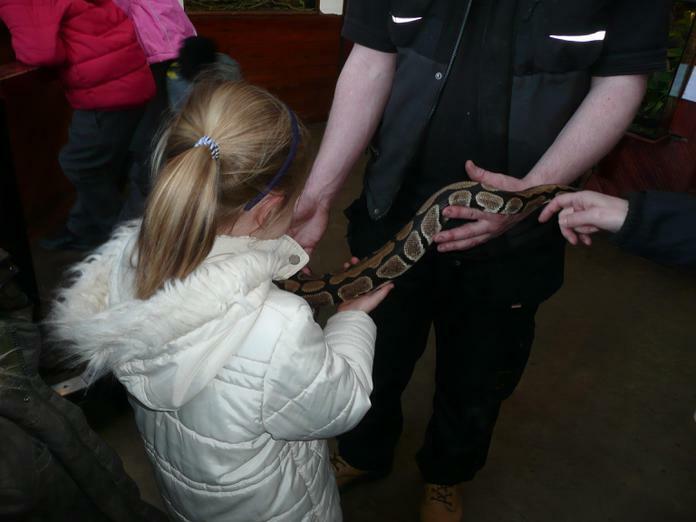 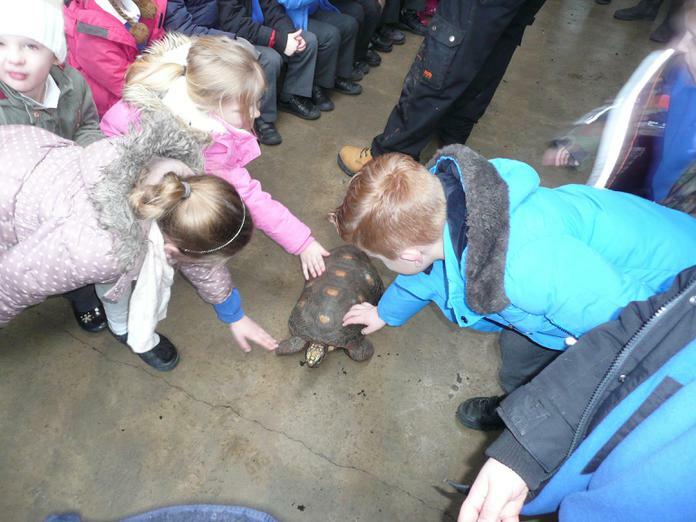 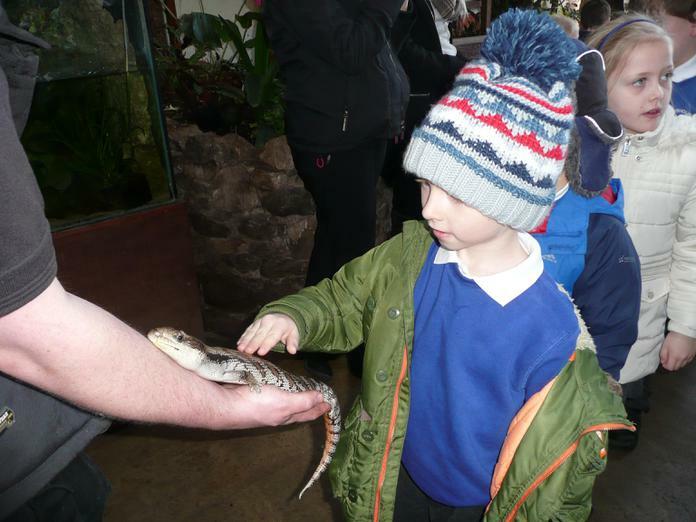 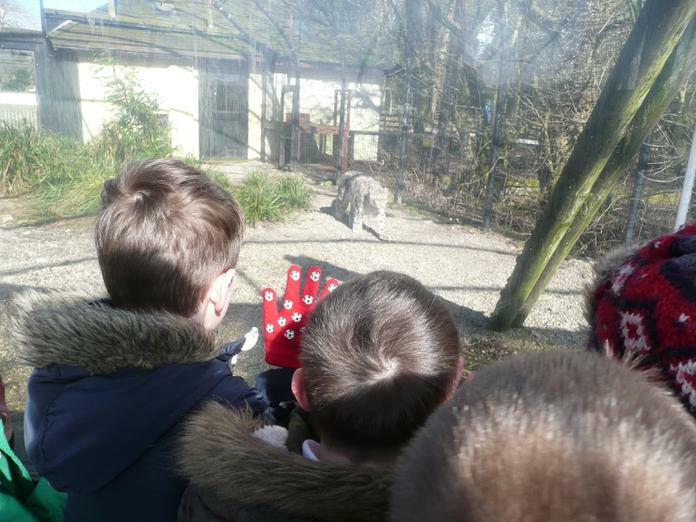 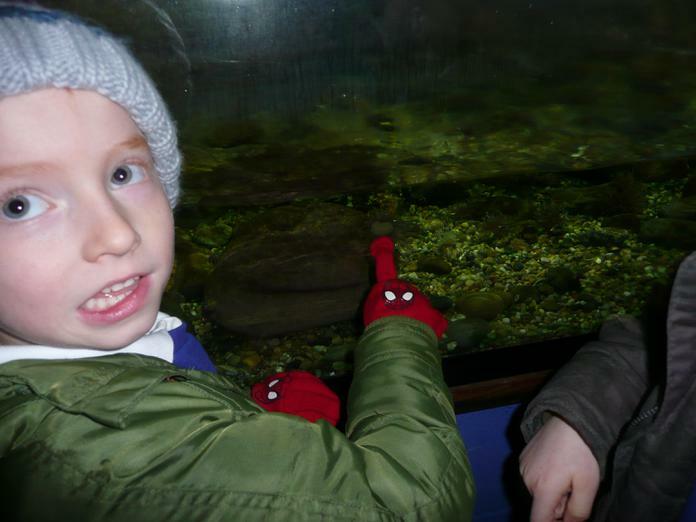 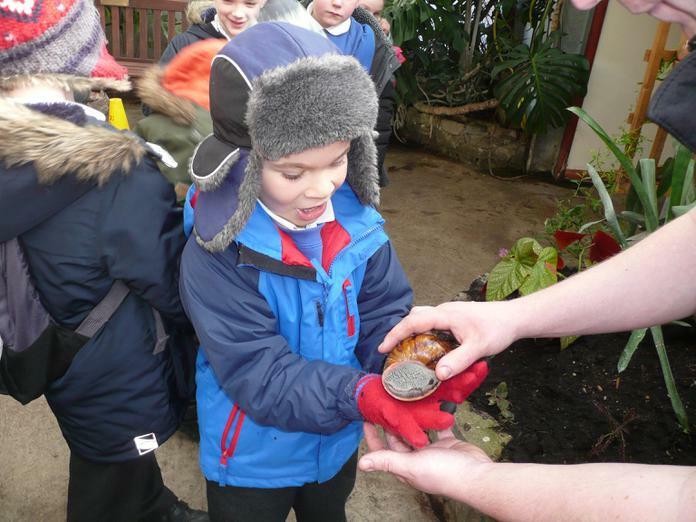 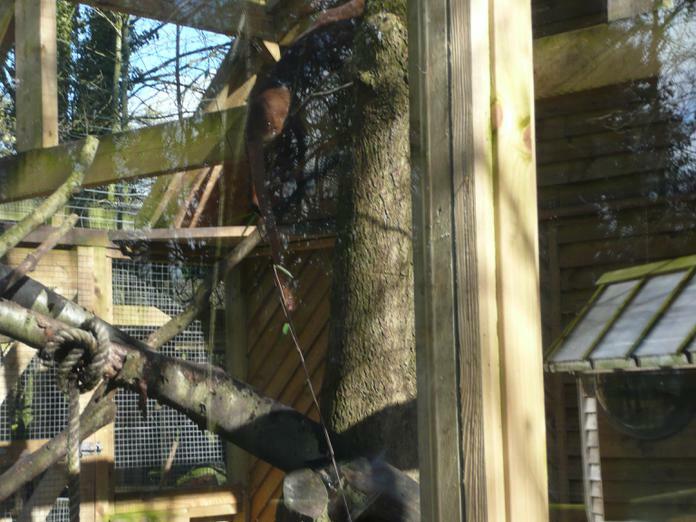 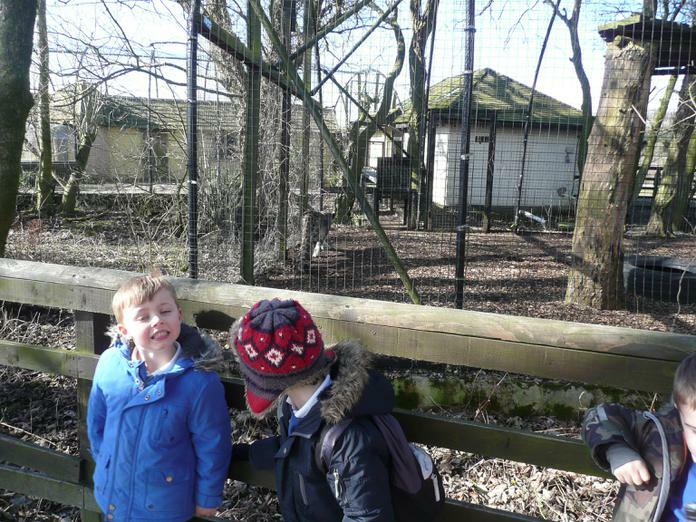 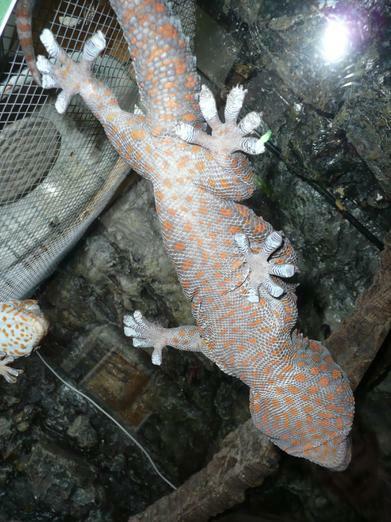 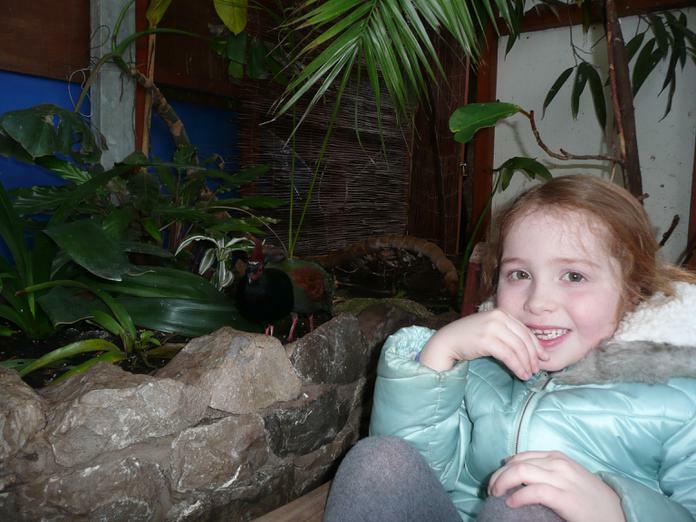 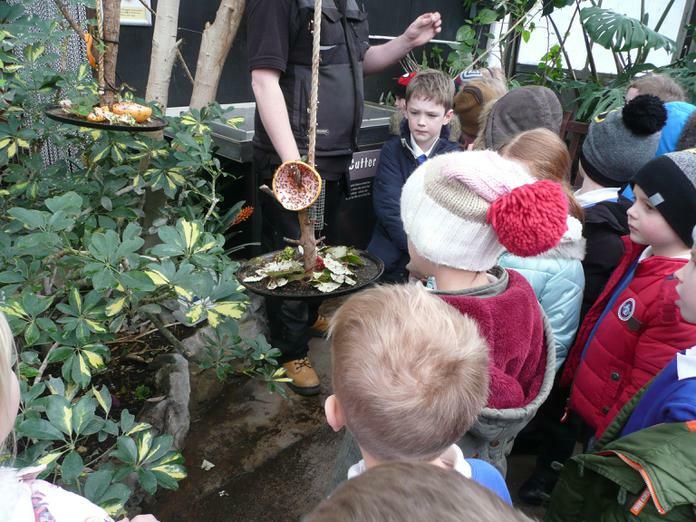 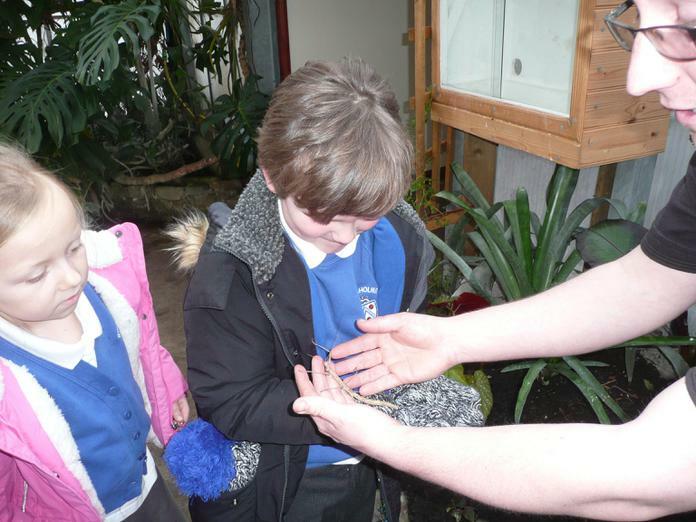 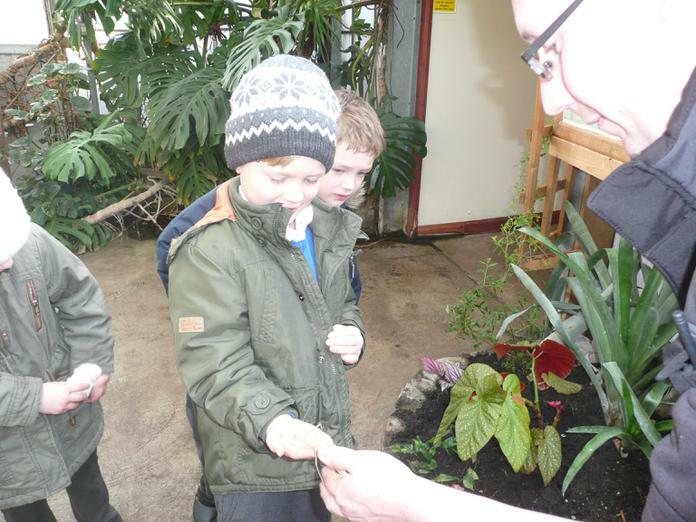 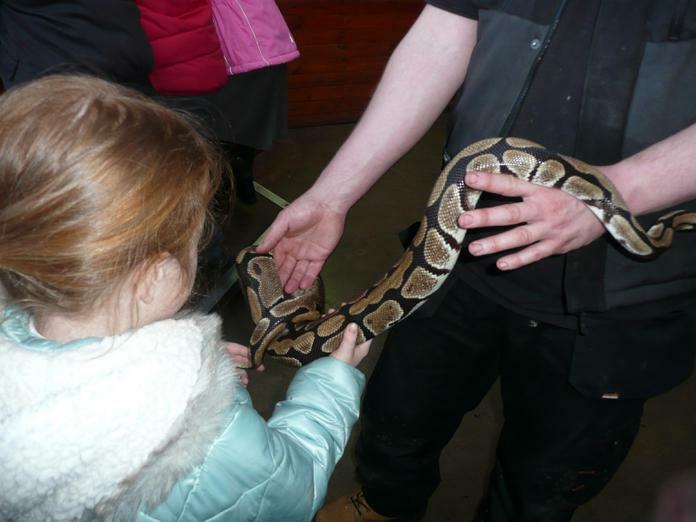 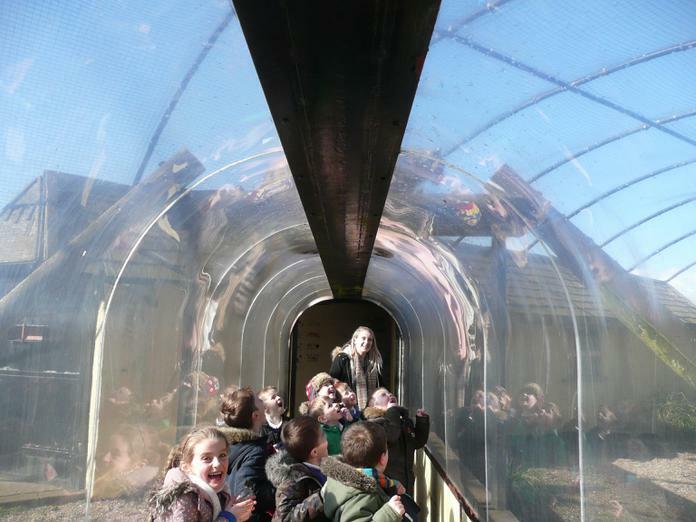 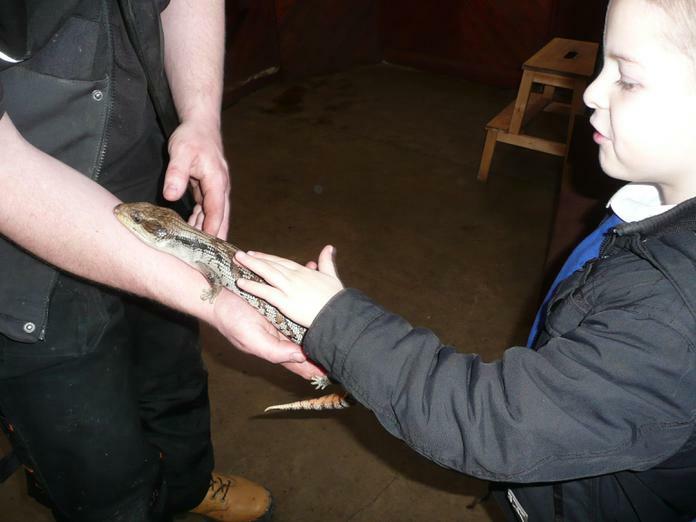 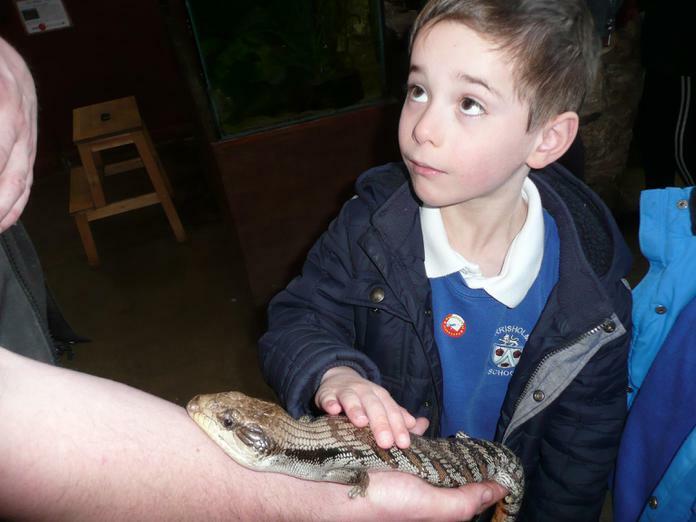 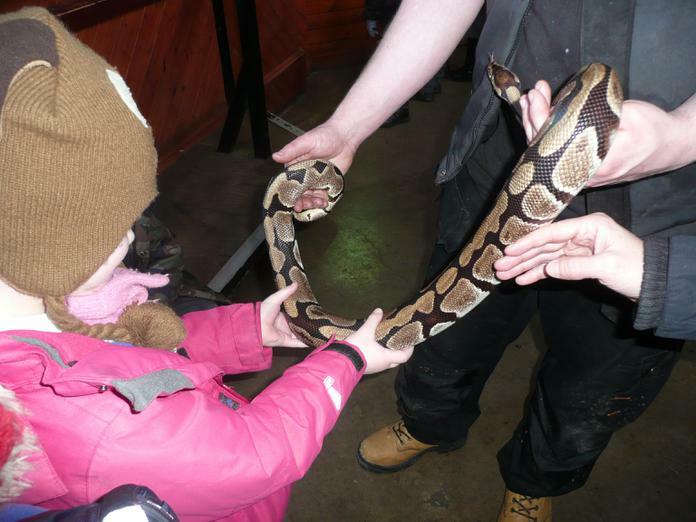 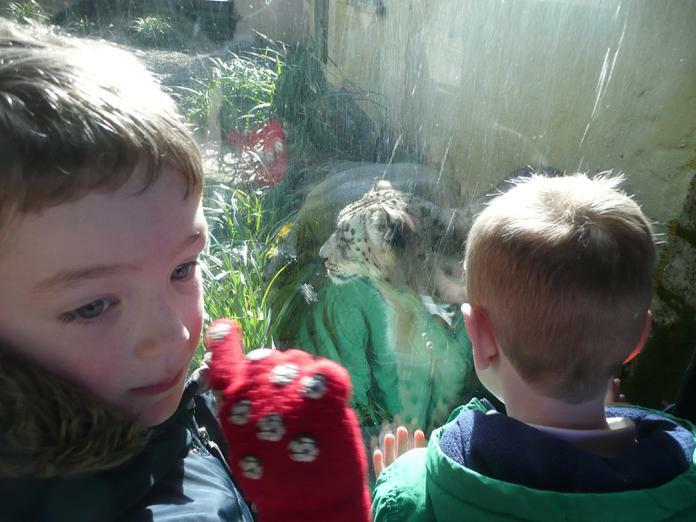 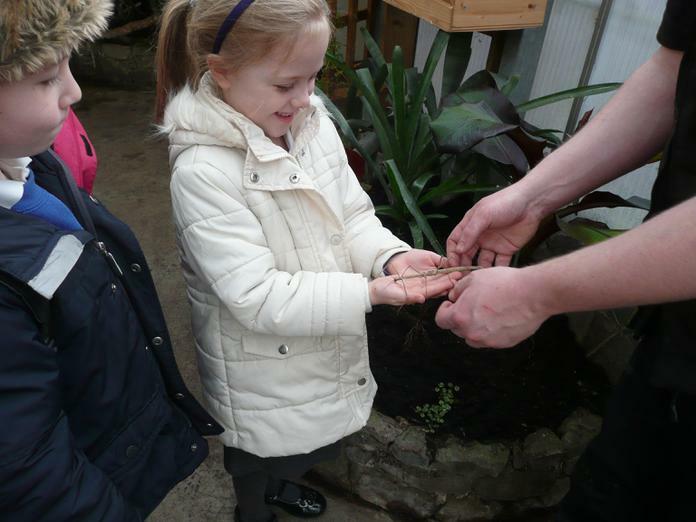 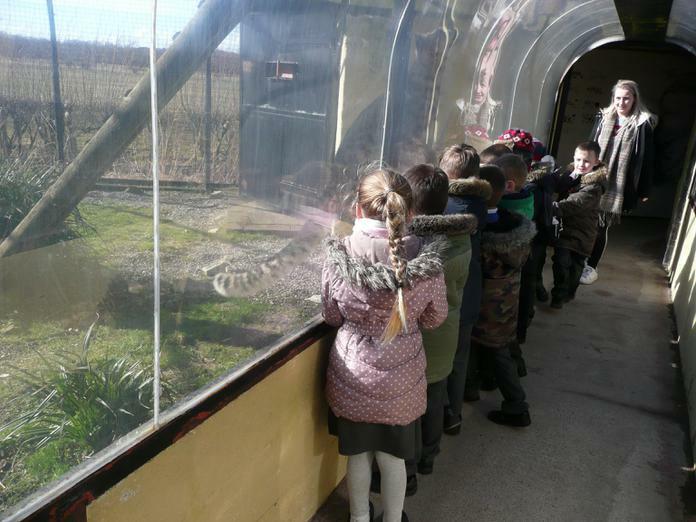 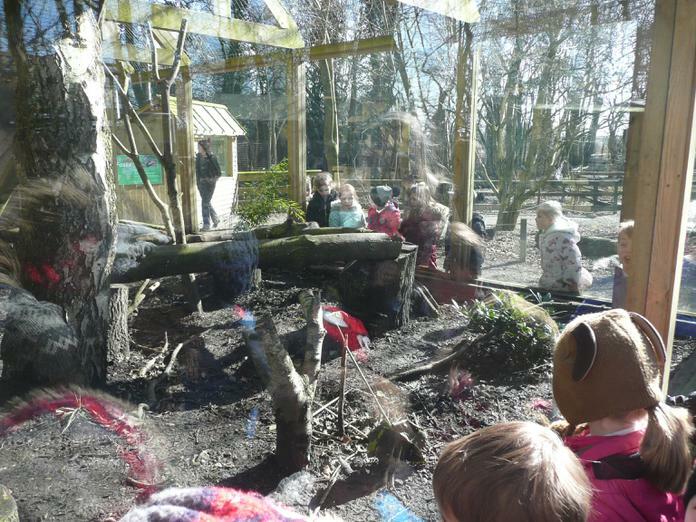 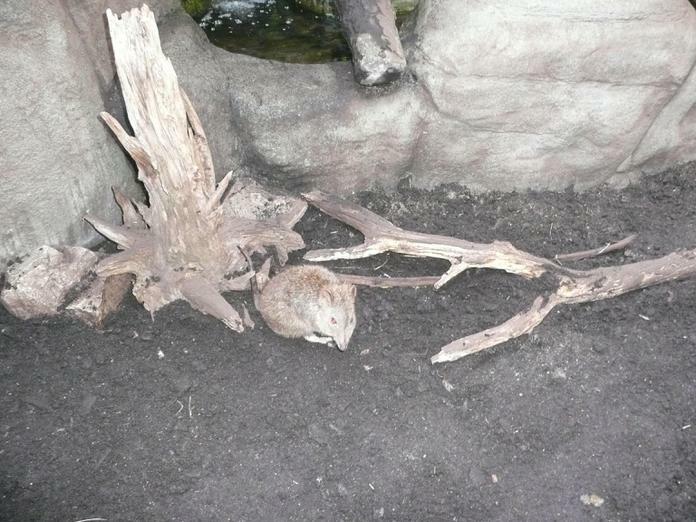 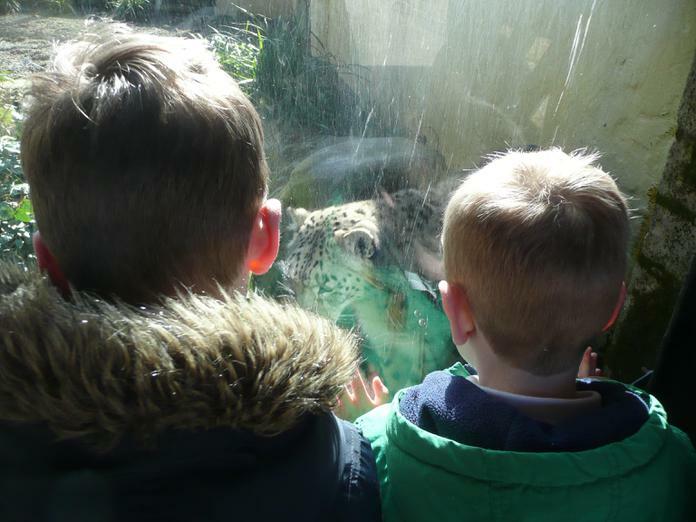 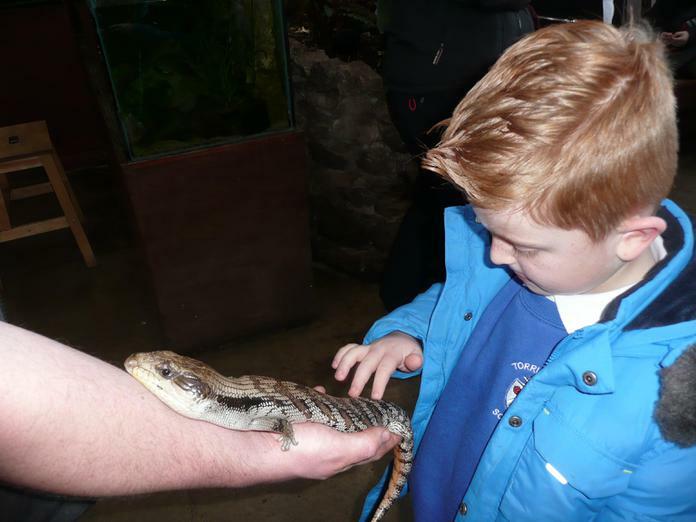 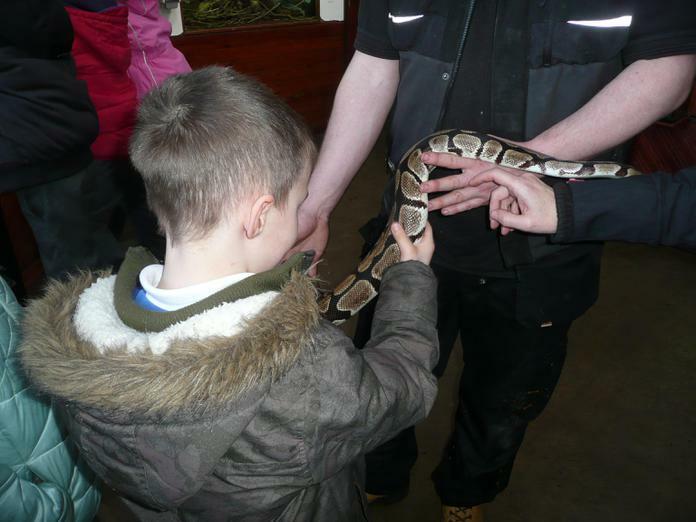 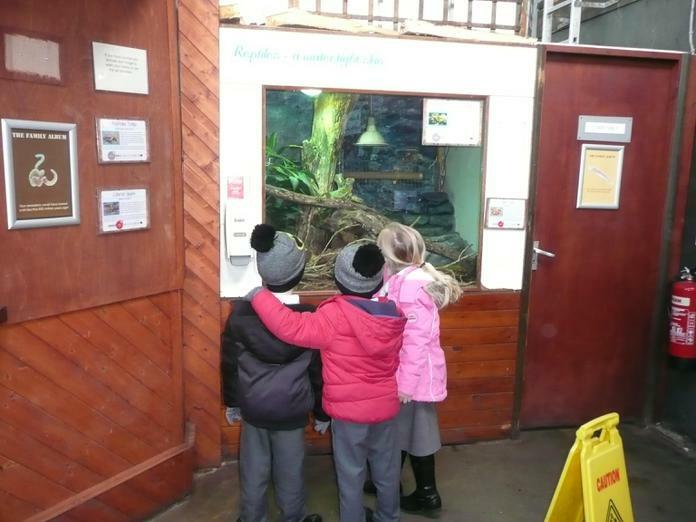 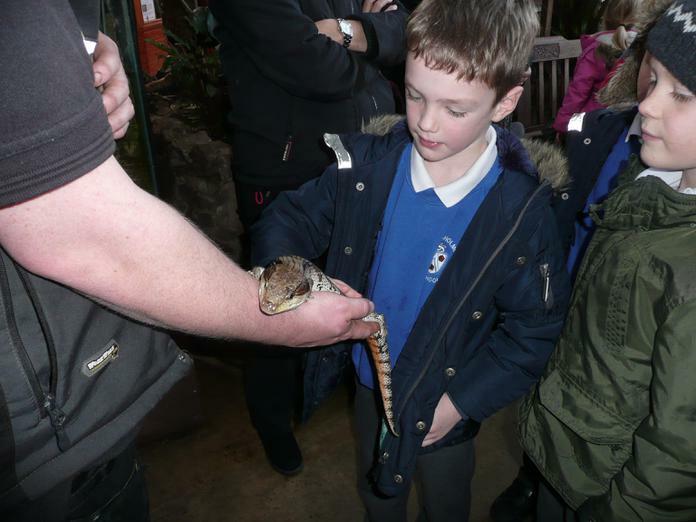 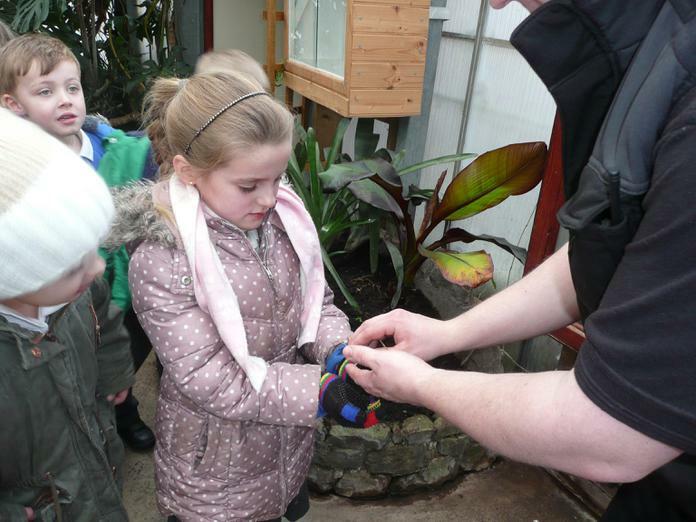 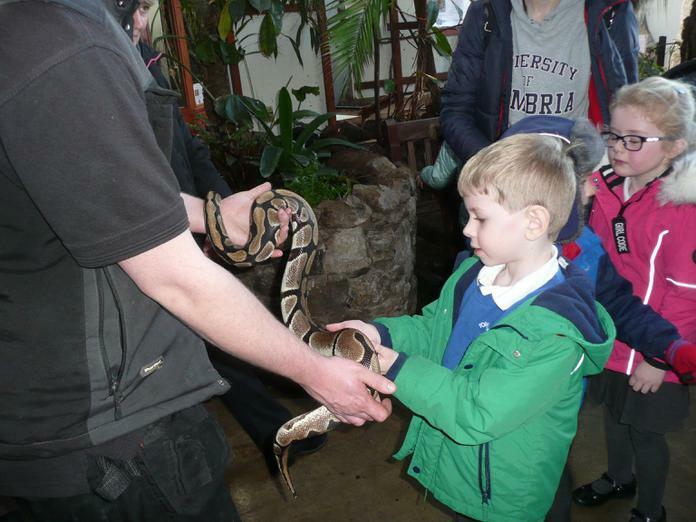 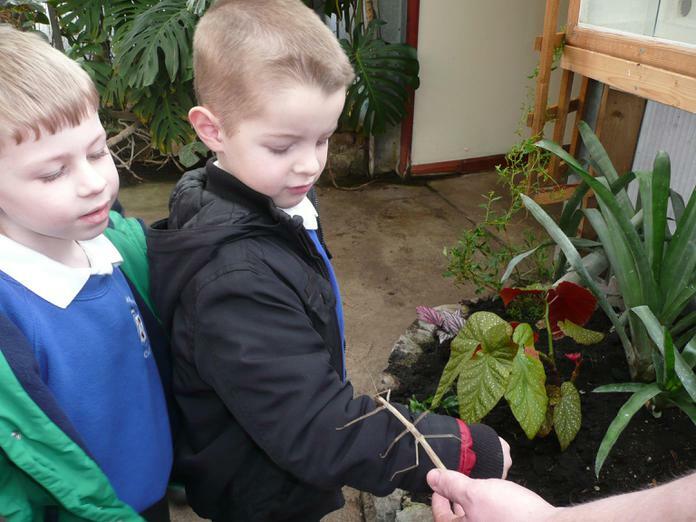 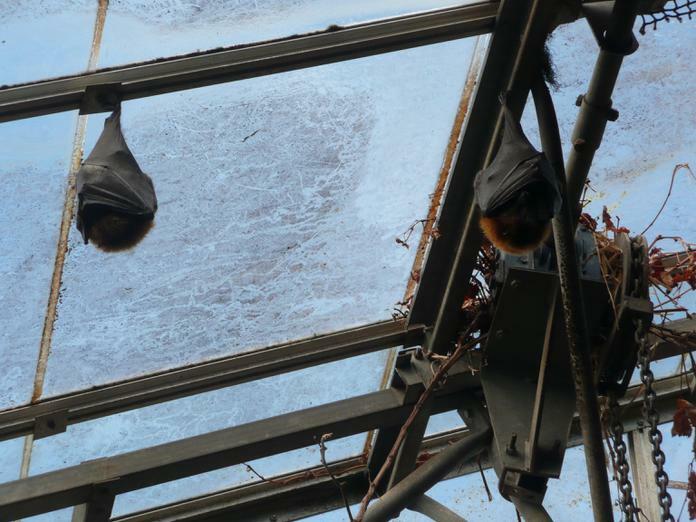 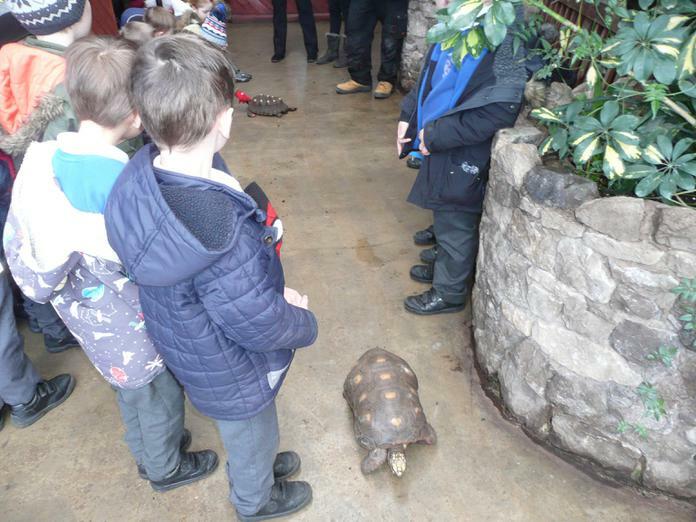 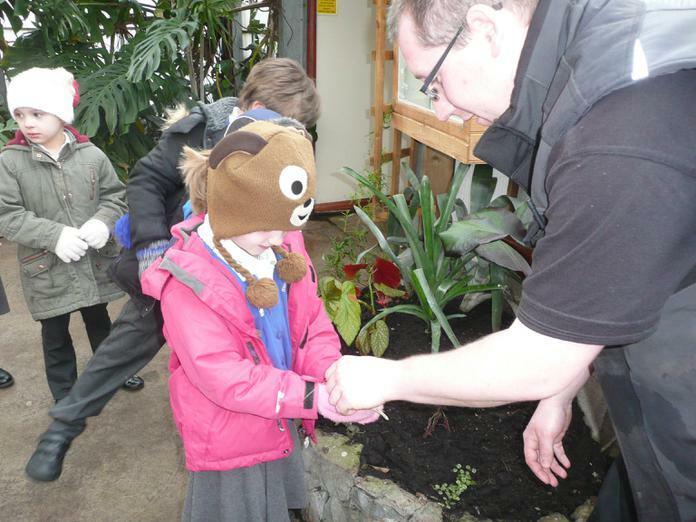 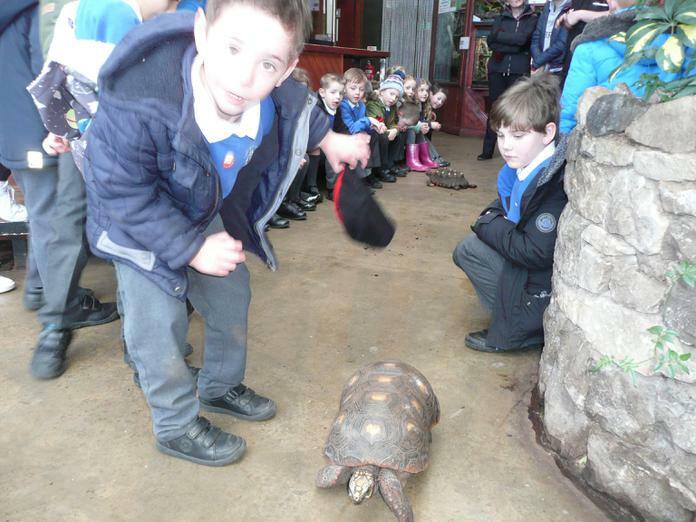 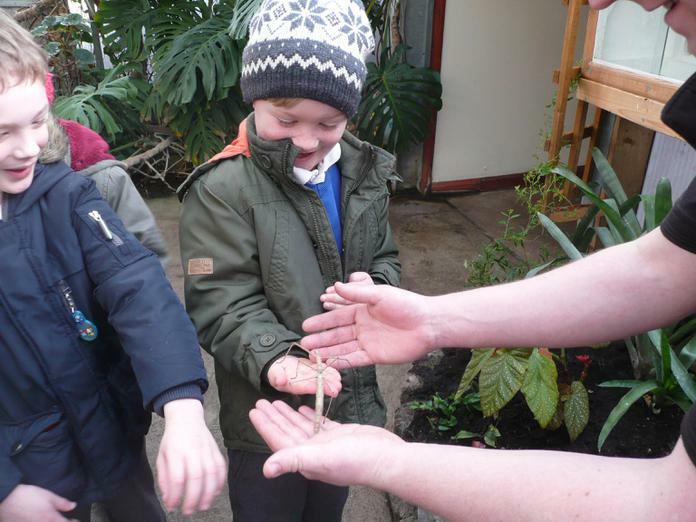 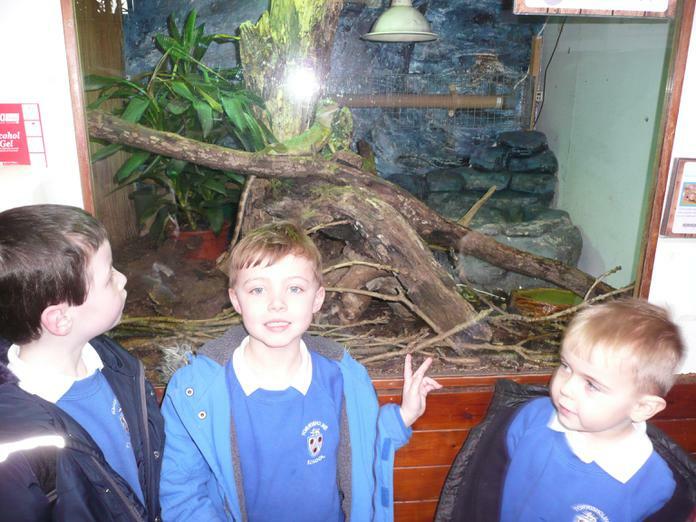 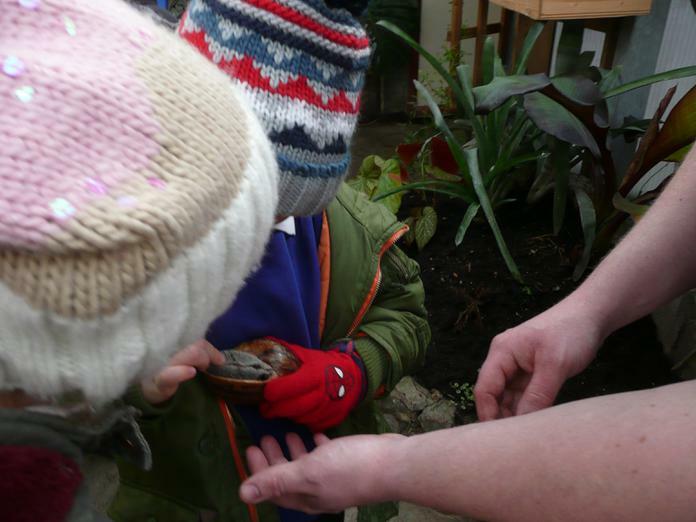 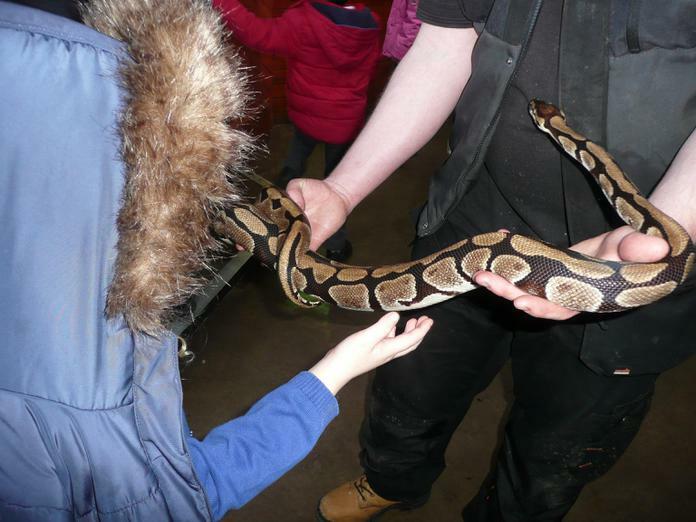 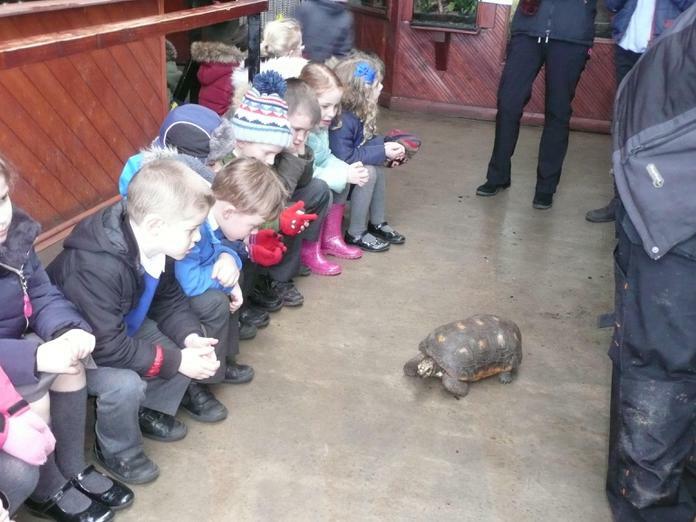 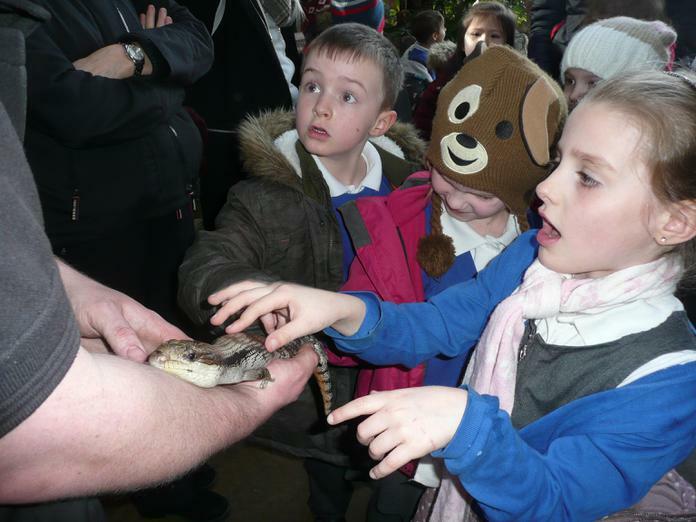 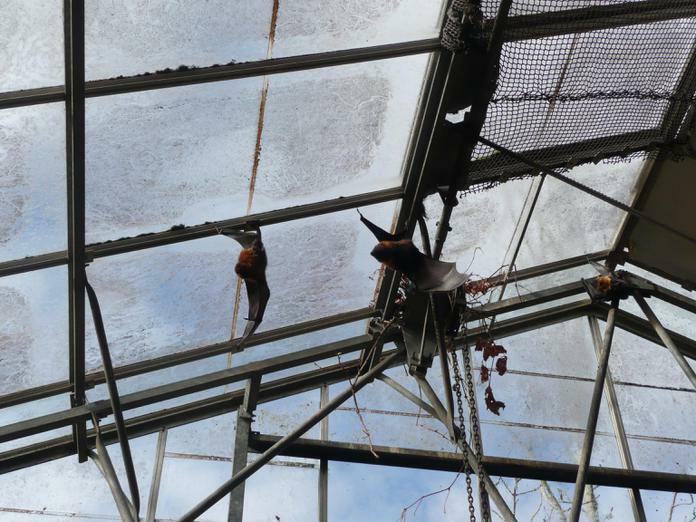 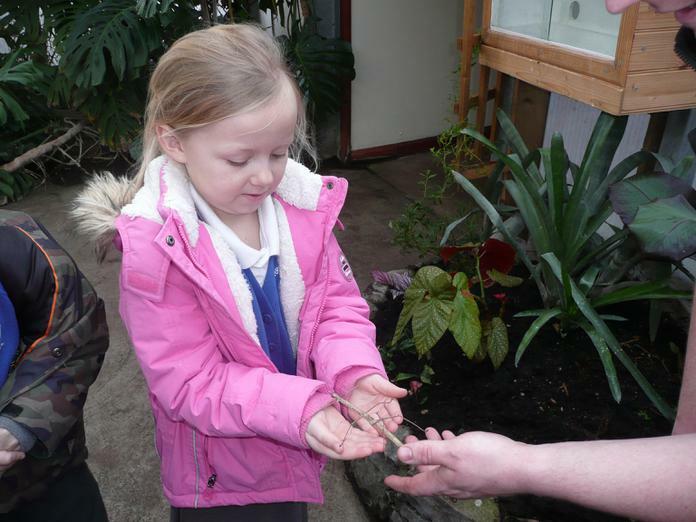 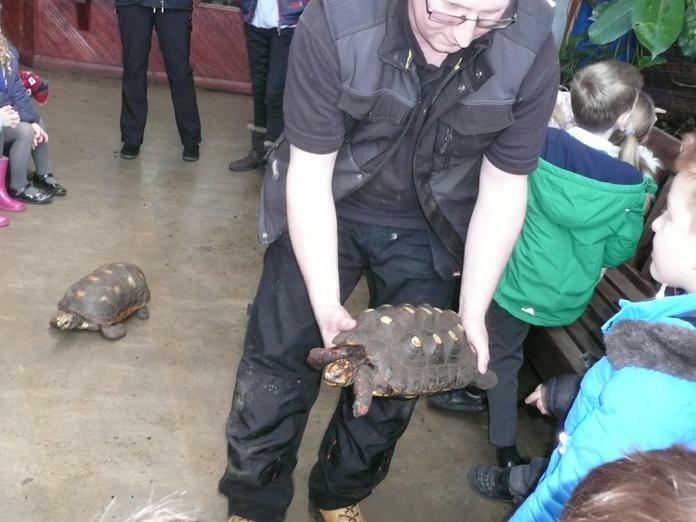 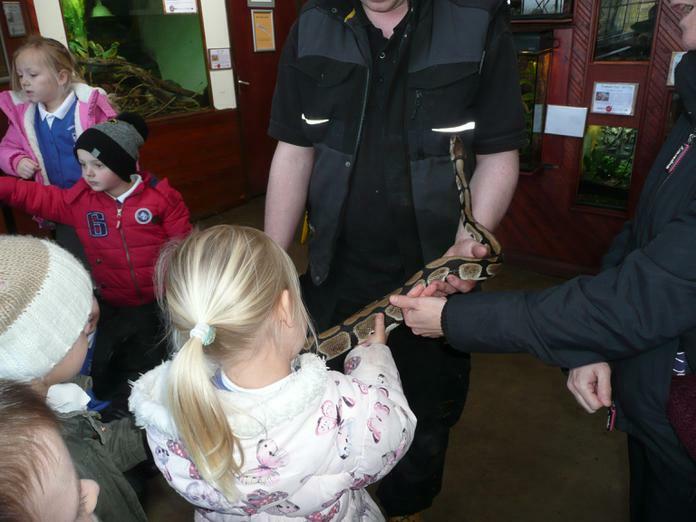 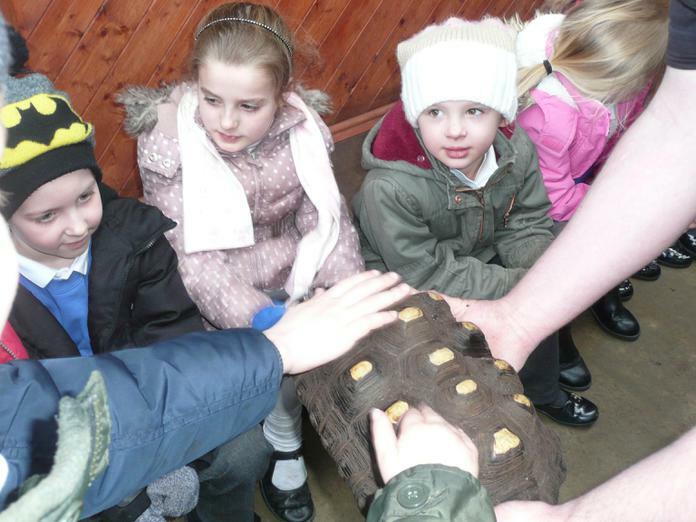 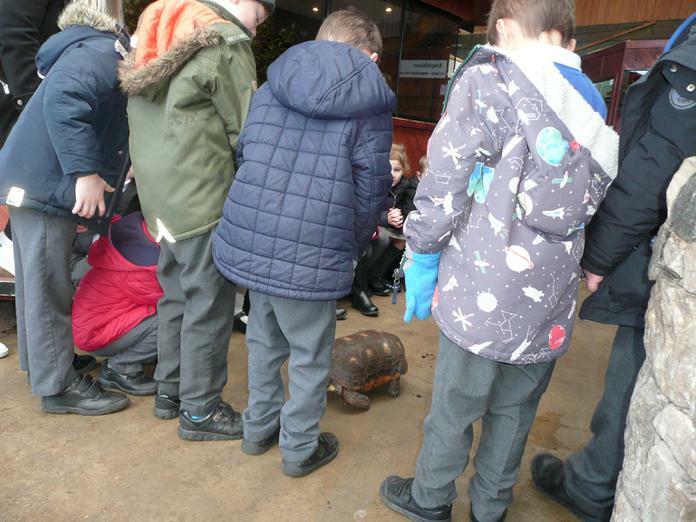 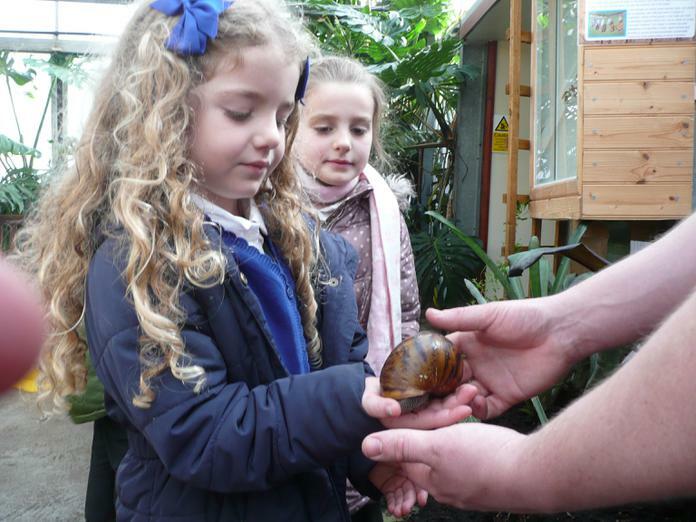 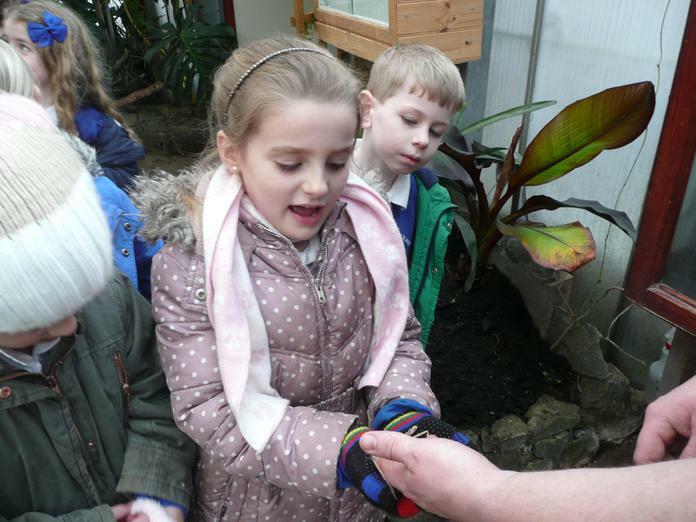 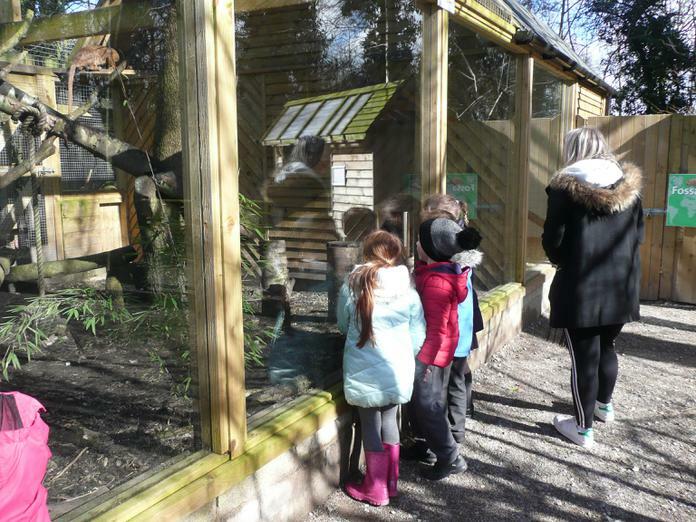 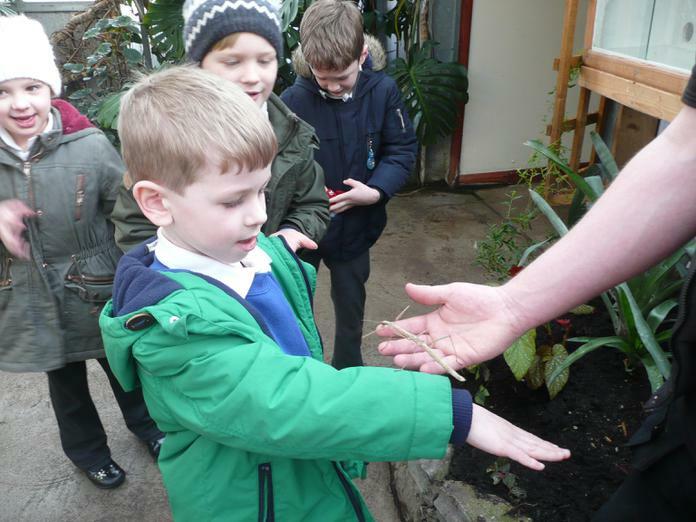 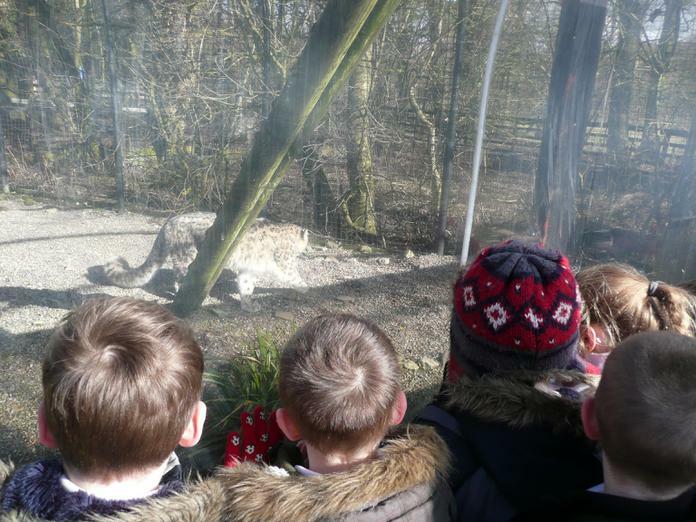 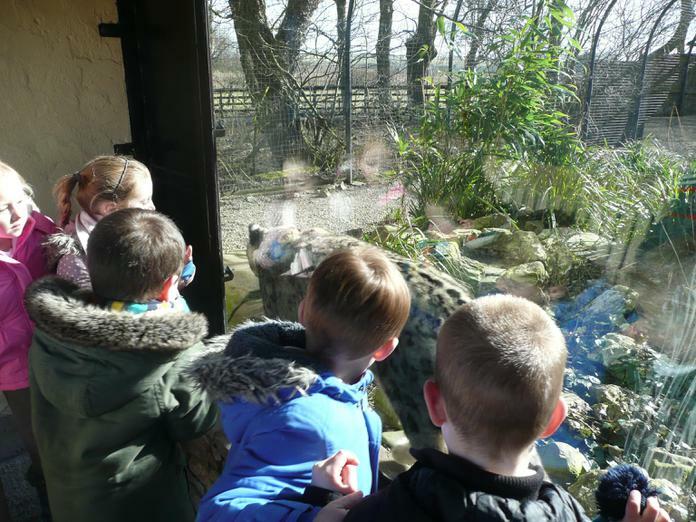 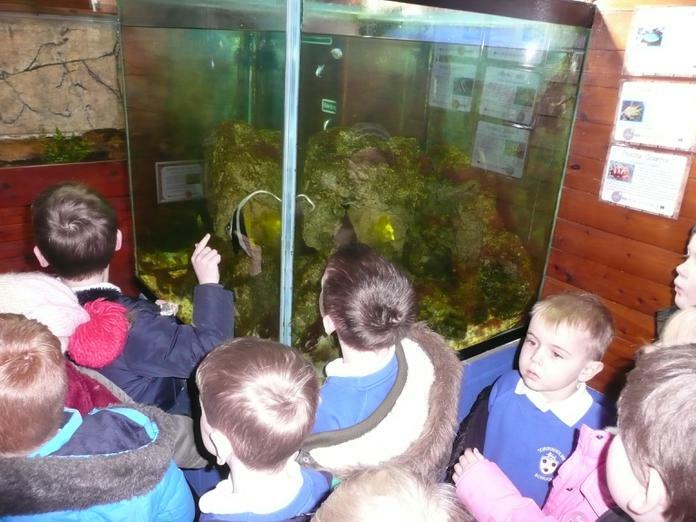 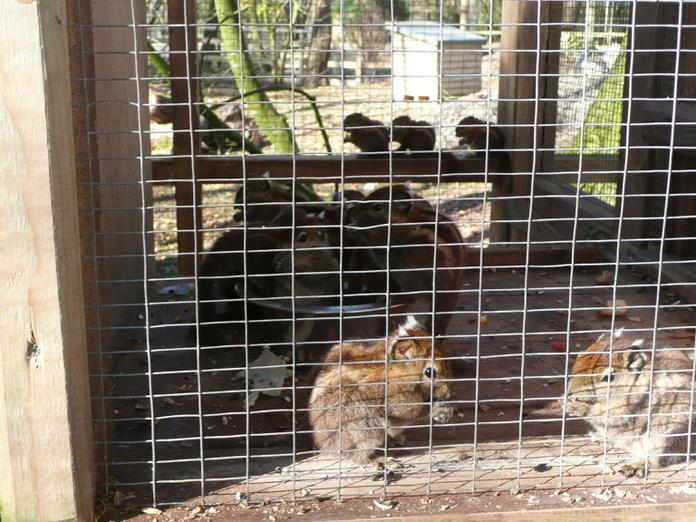 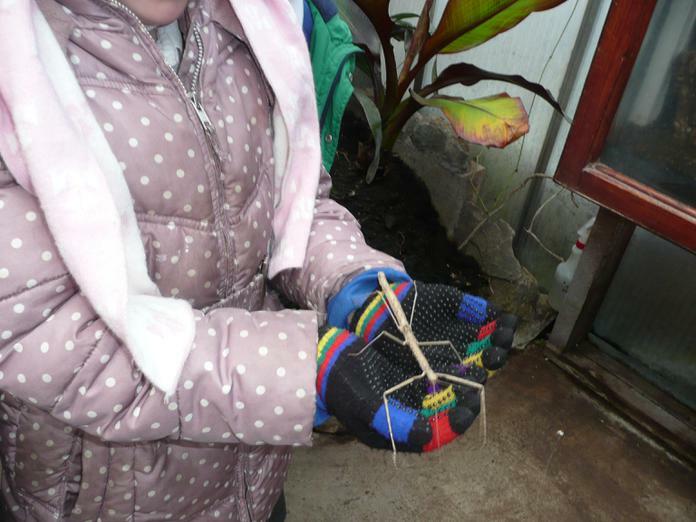 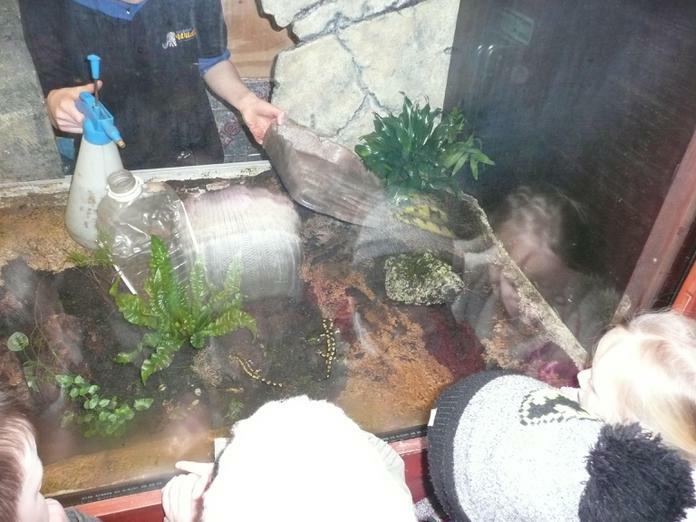 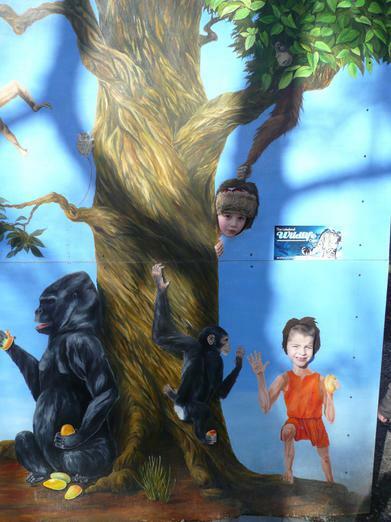 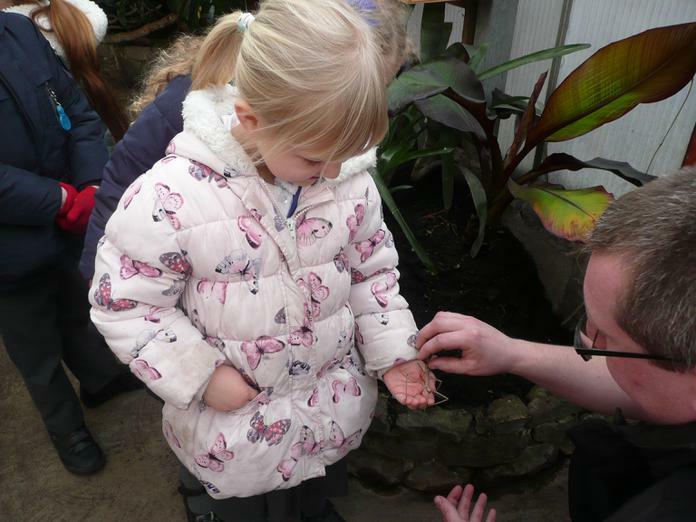 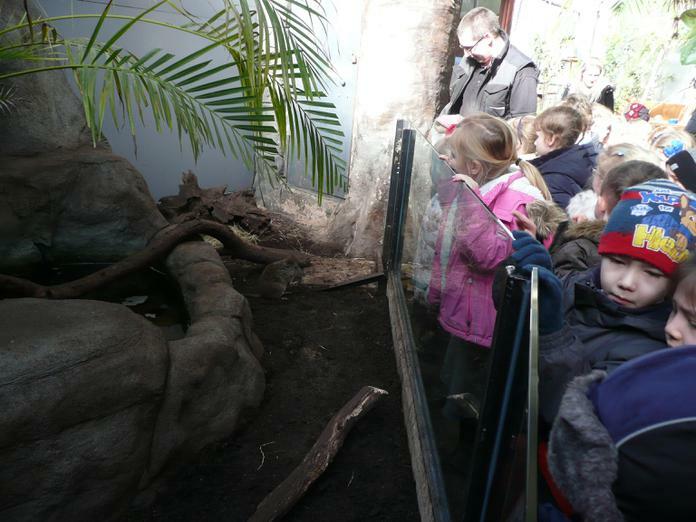 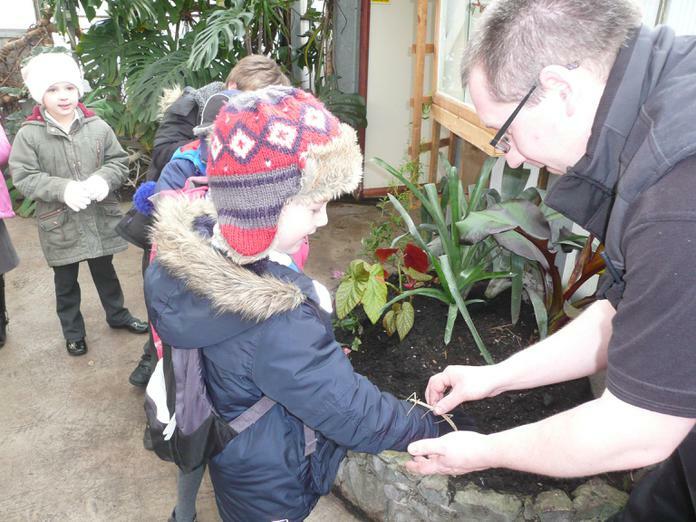 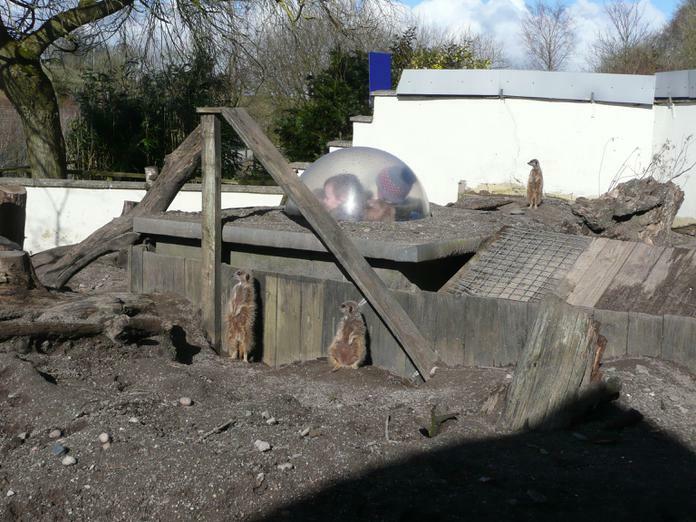 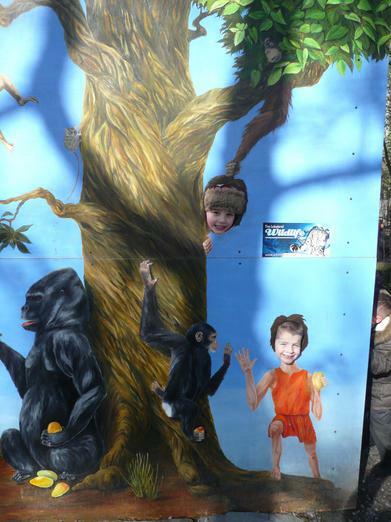 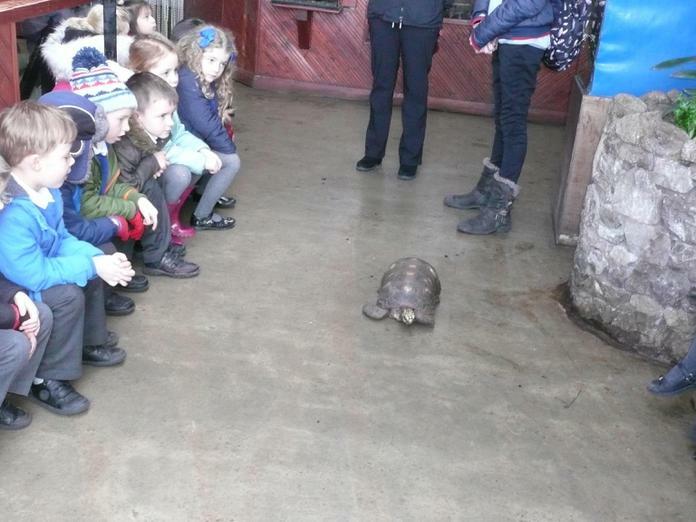 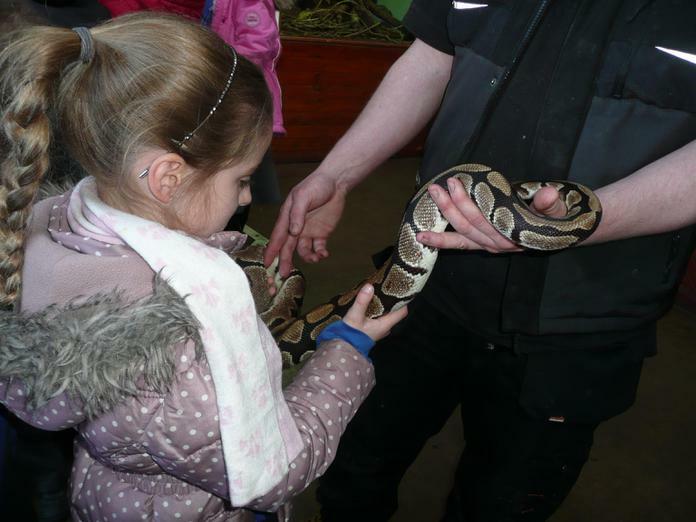 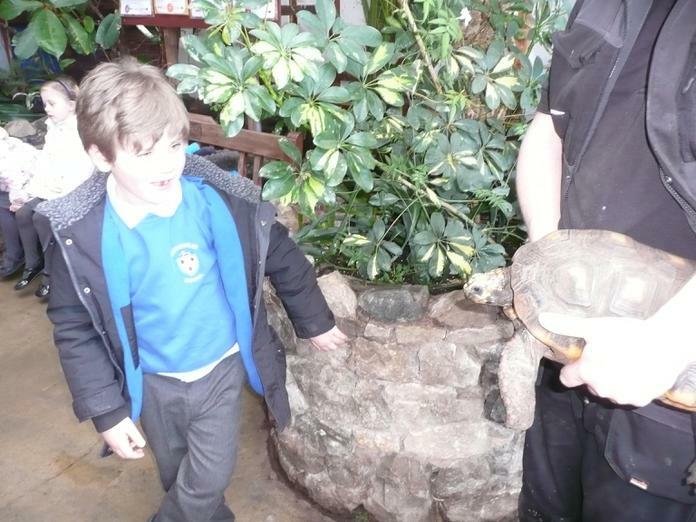 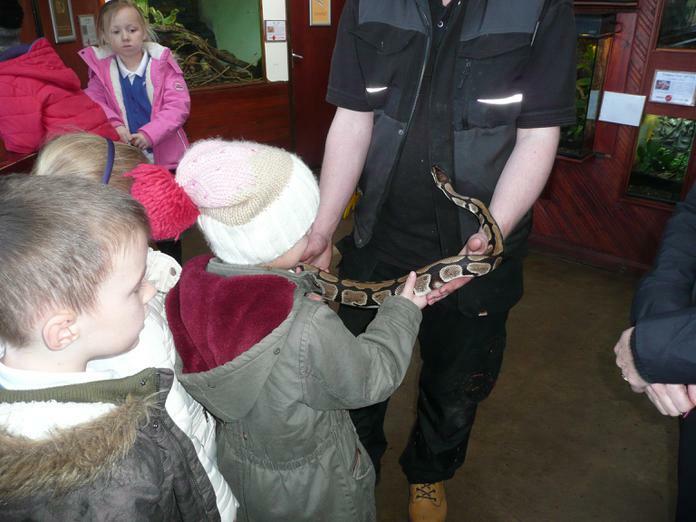 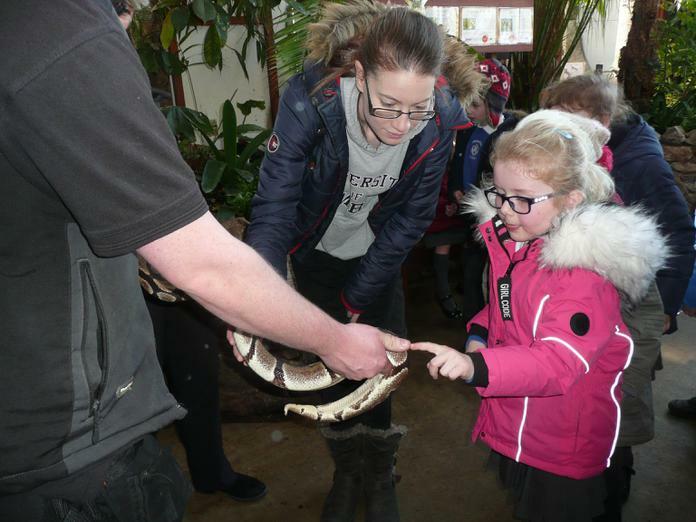 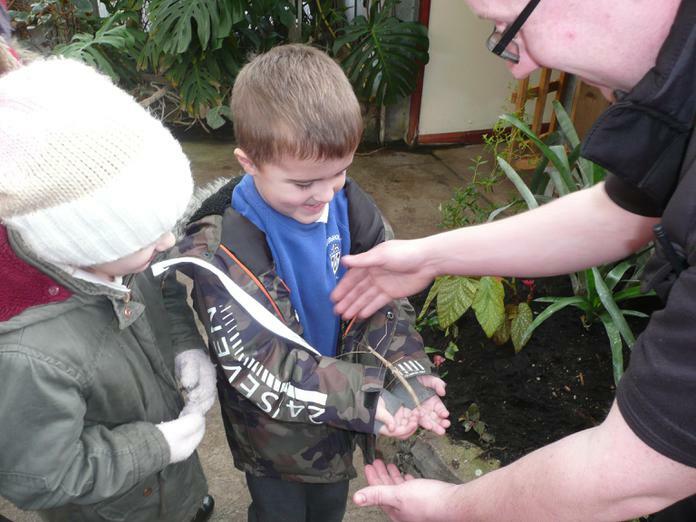 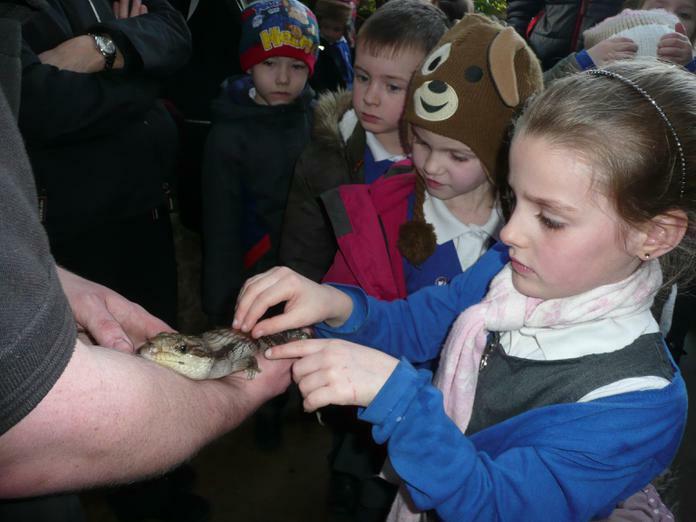 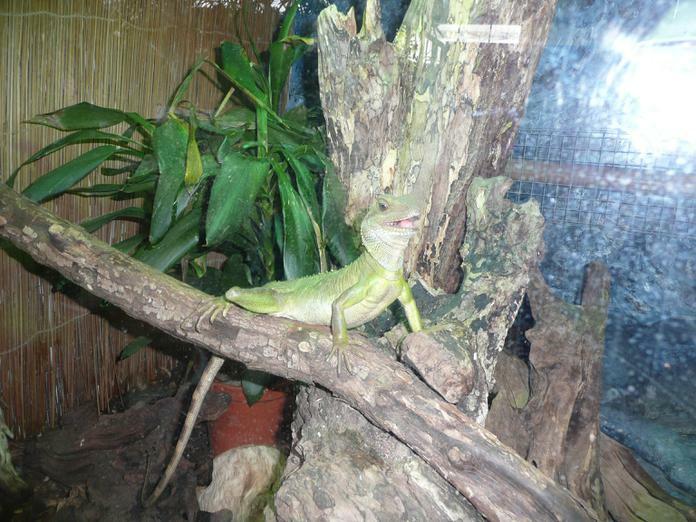 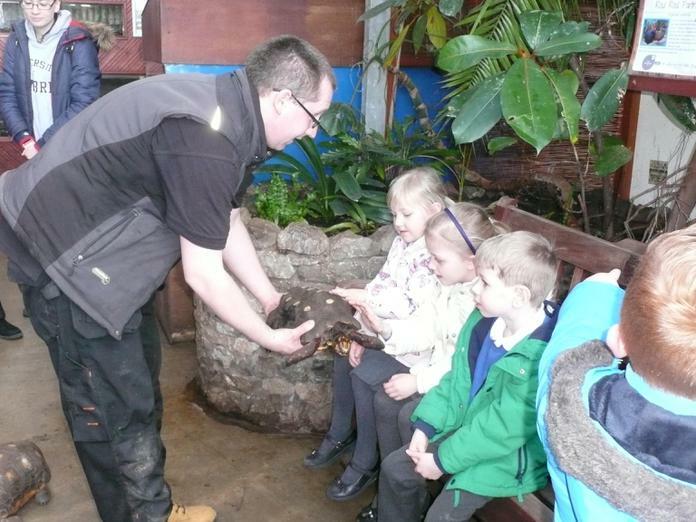 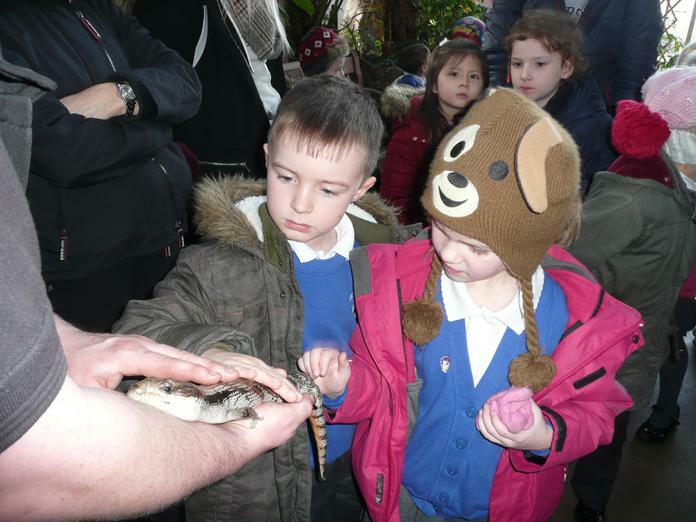 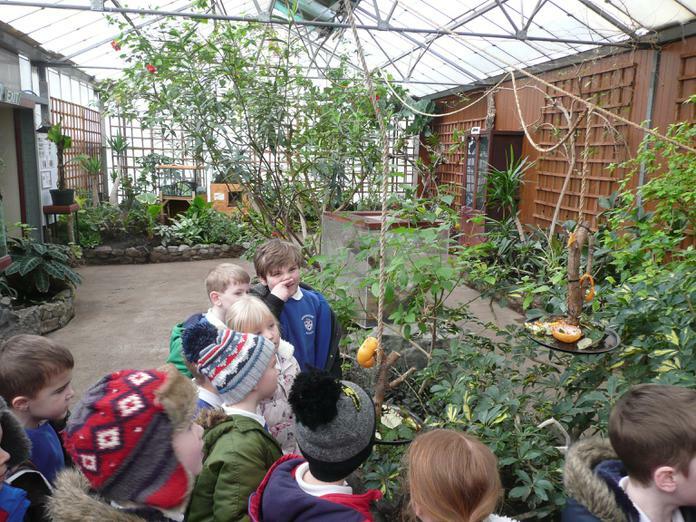 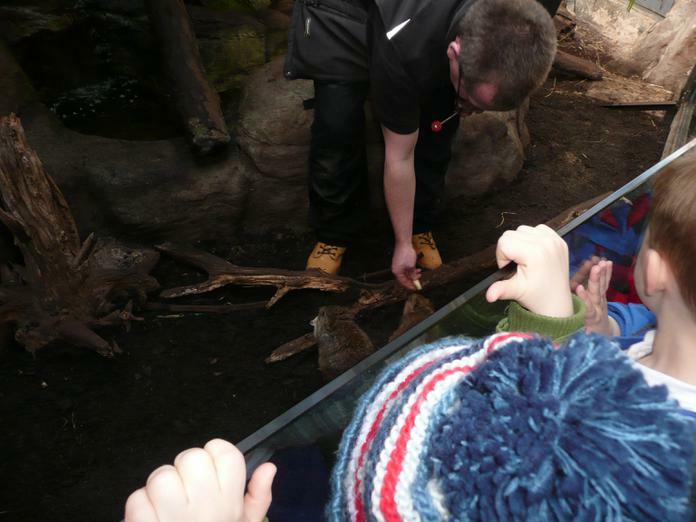 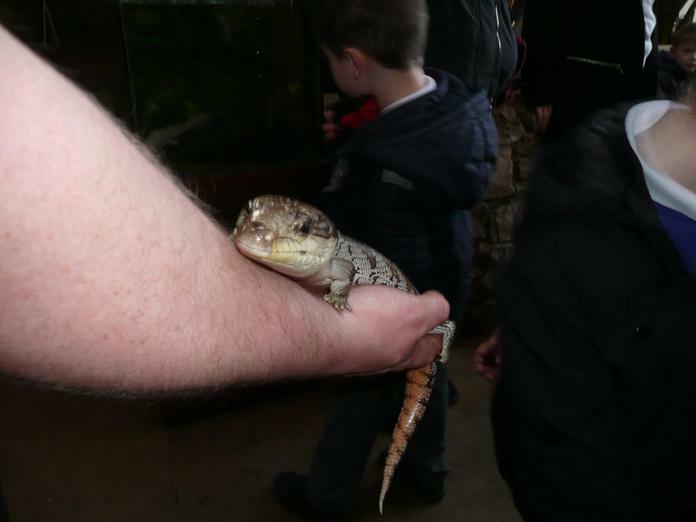 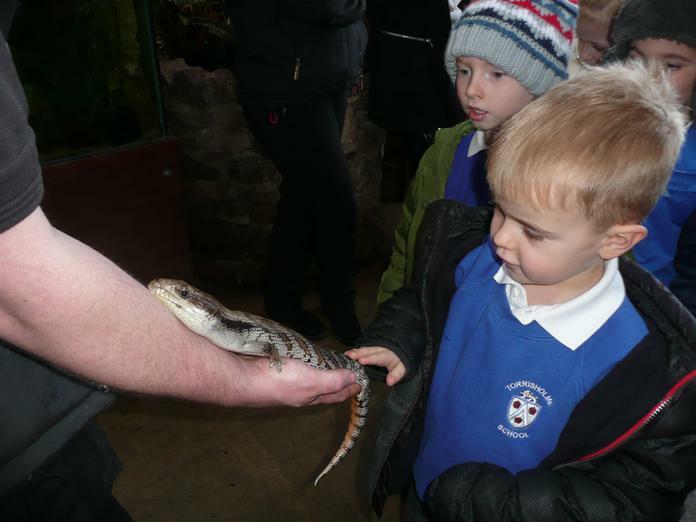 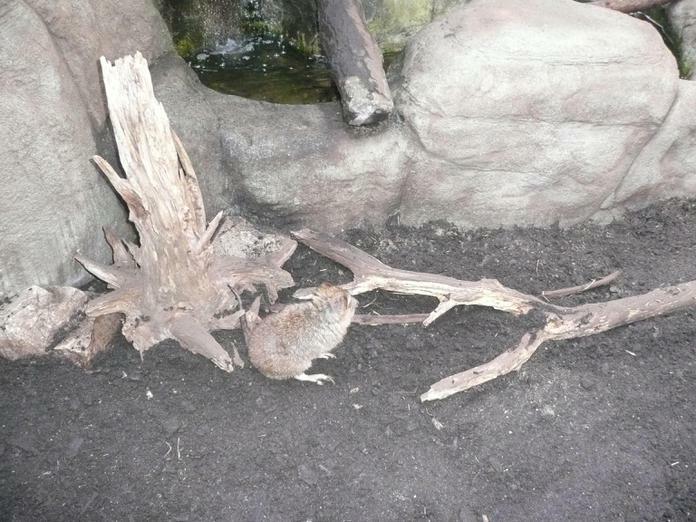 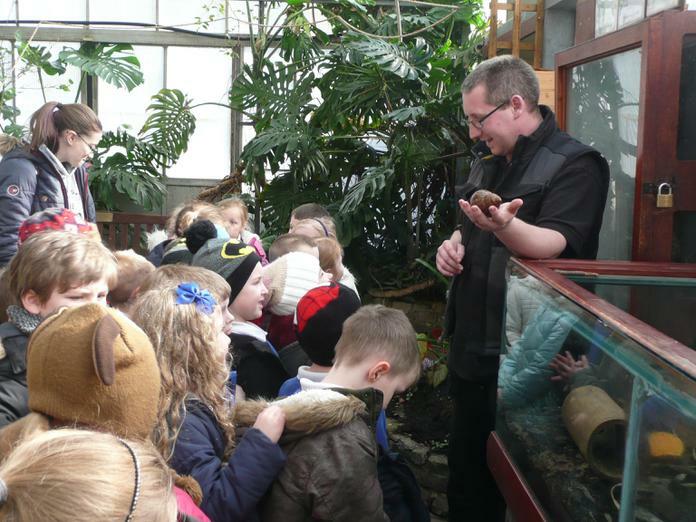 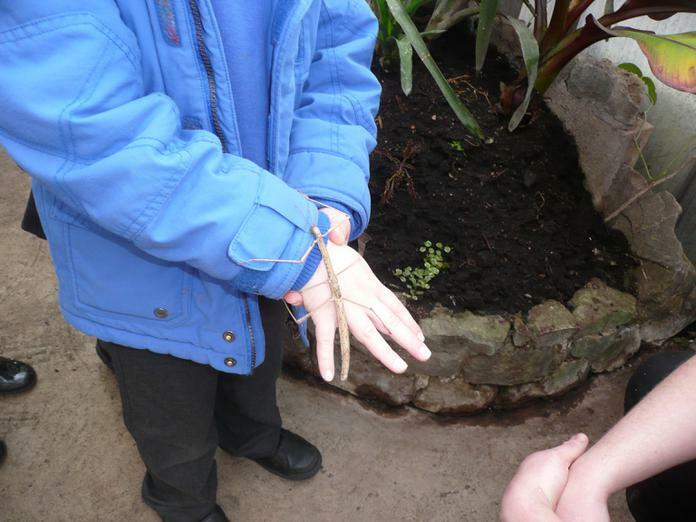 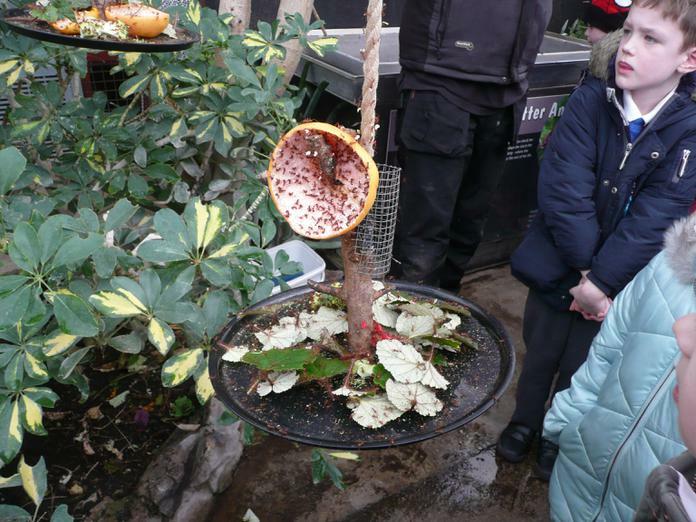 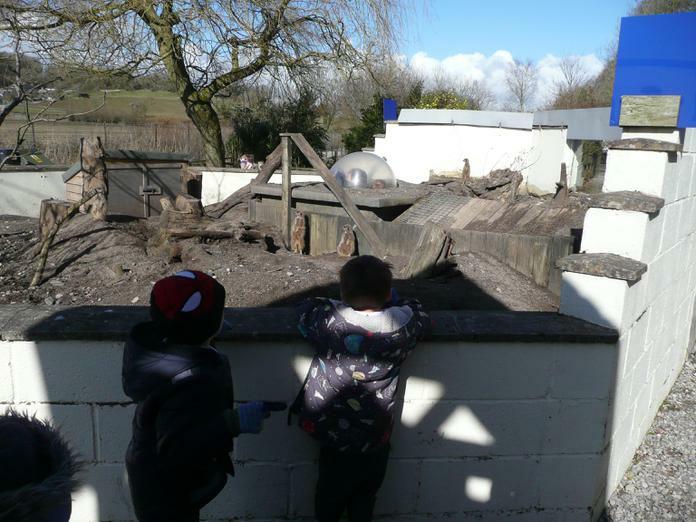 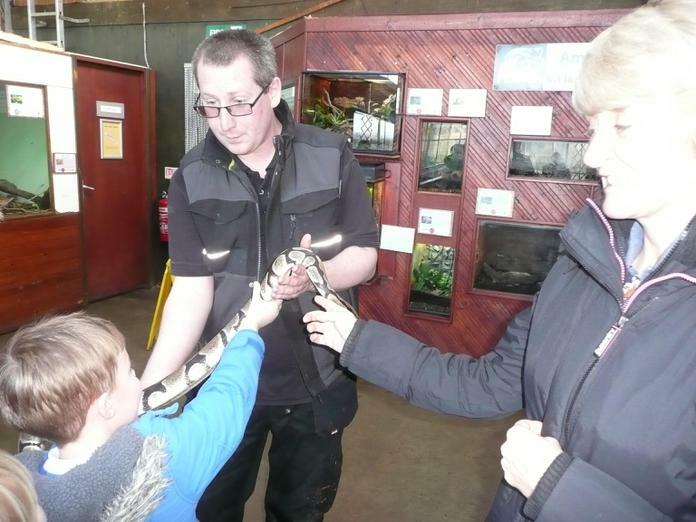 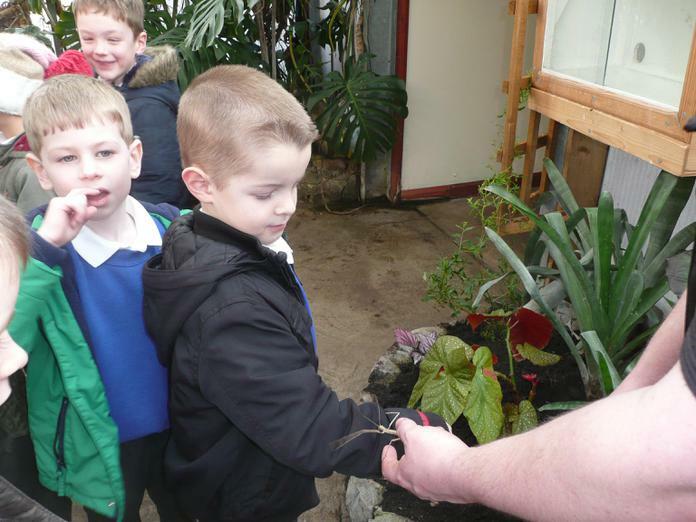 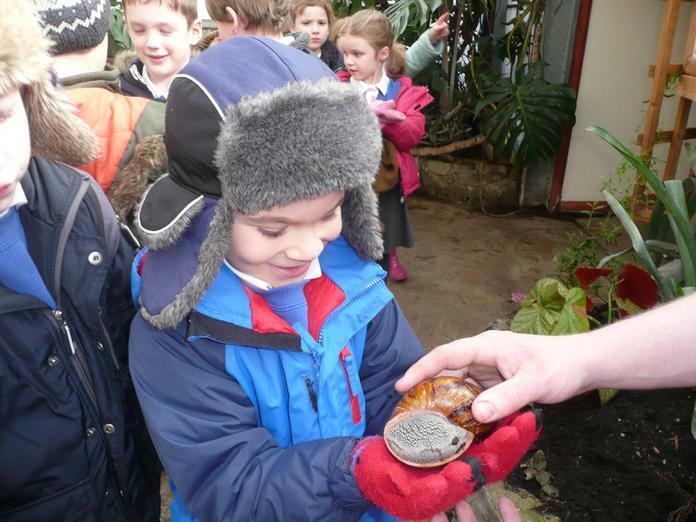 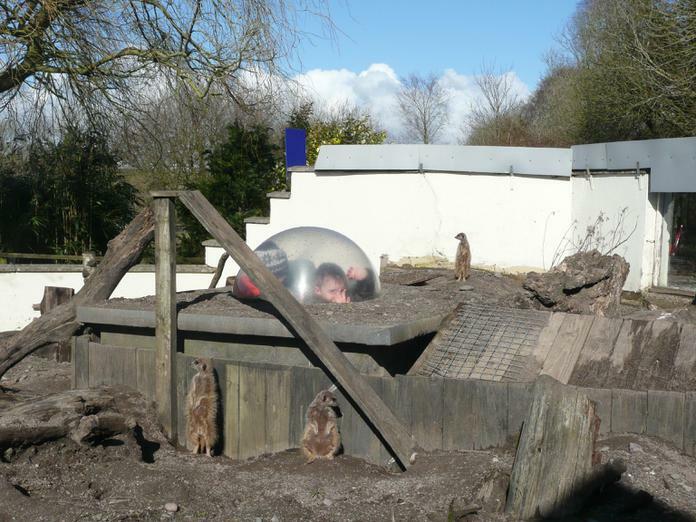 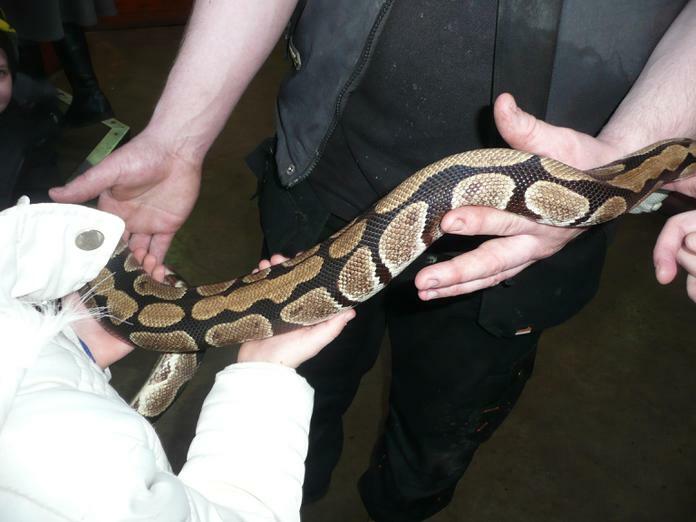 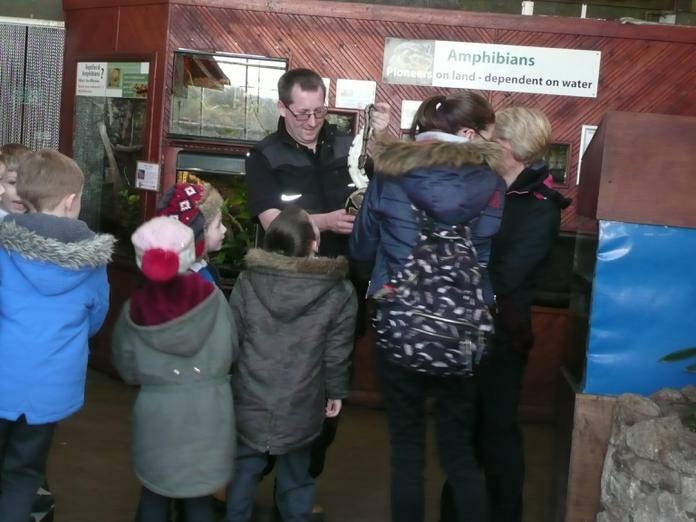 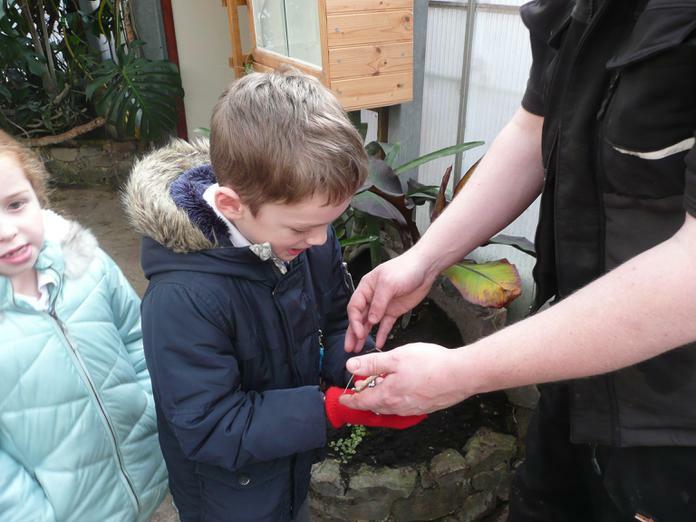 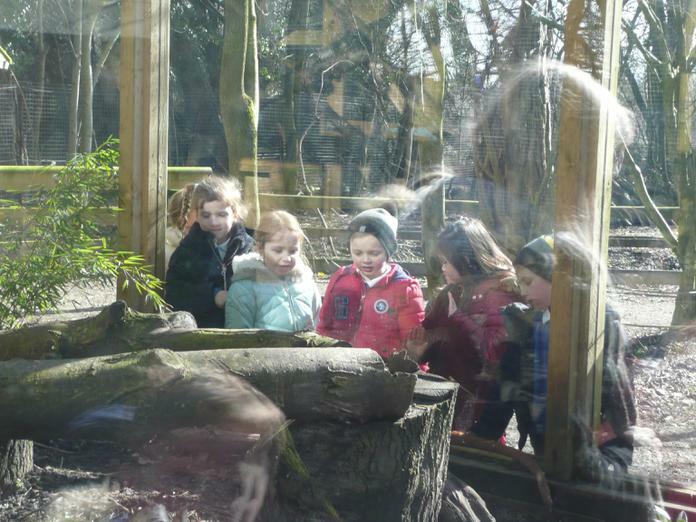 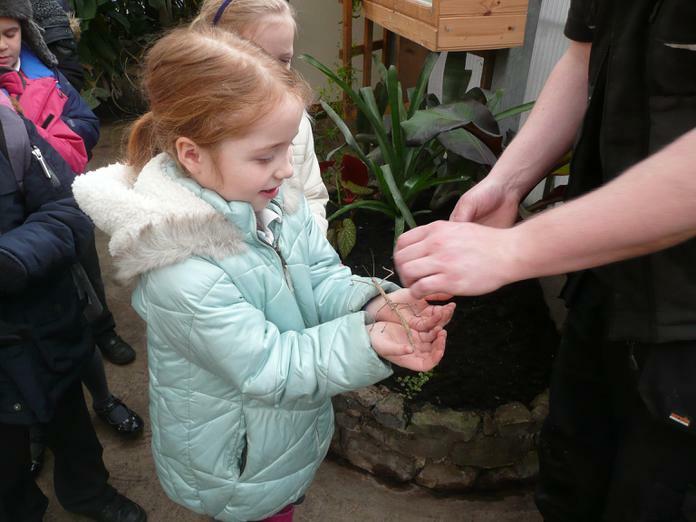 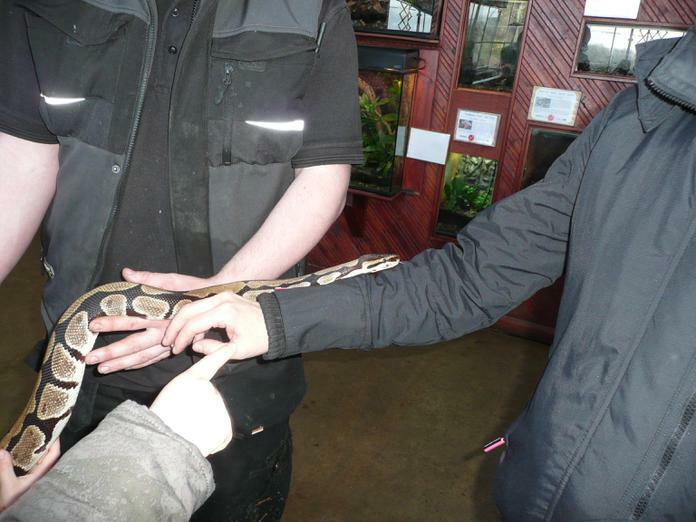 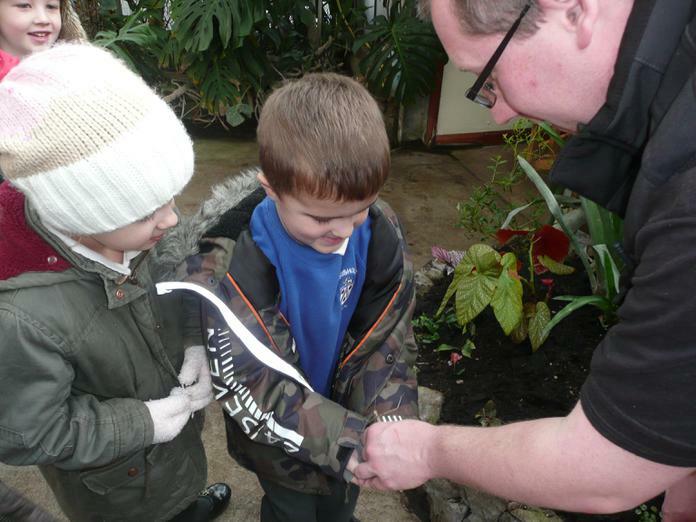 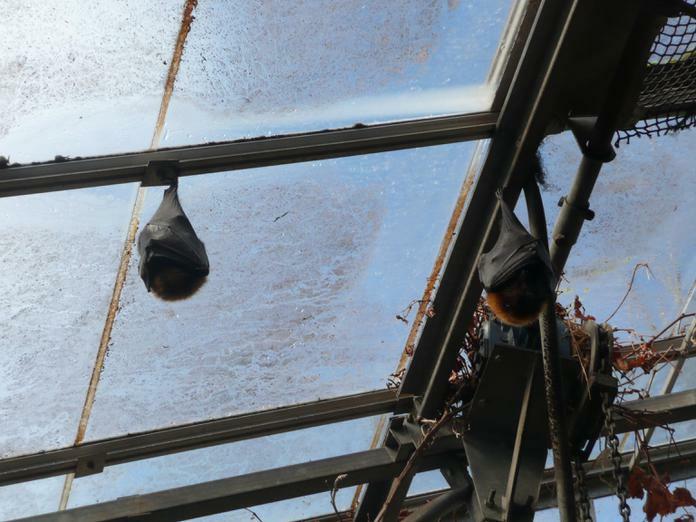 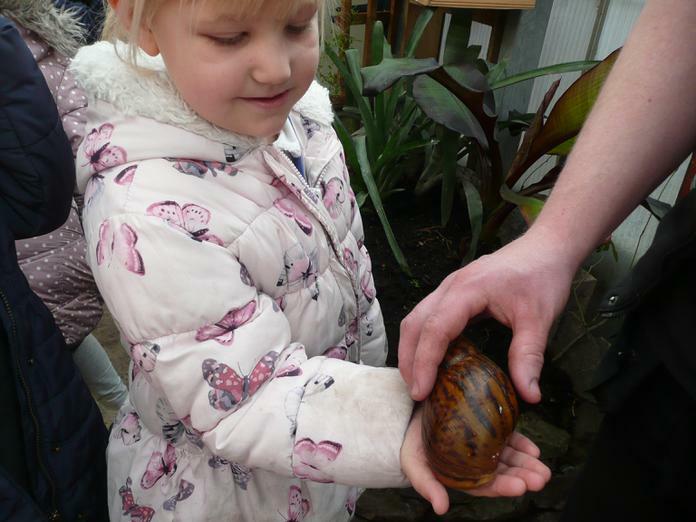 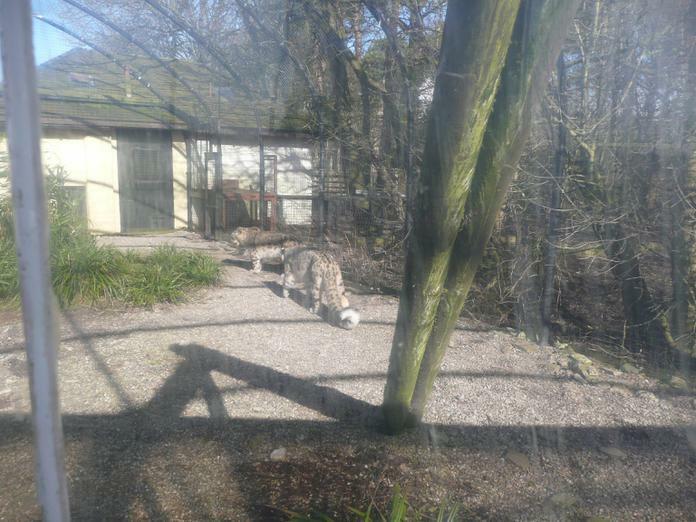 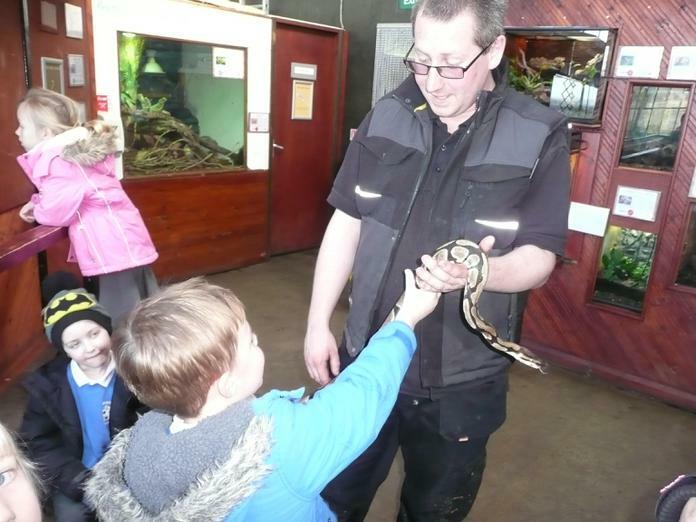 The children have had a fantastic day out at the wildlife park. 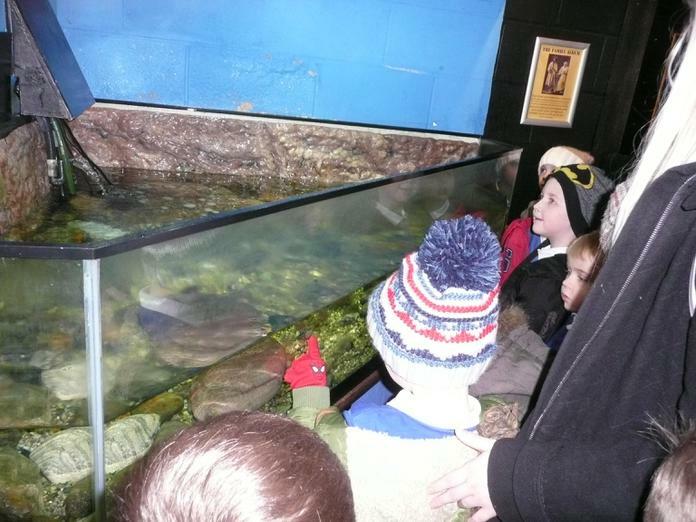 A big thank you to all of the parents who supported the trip and made our day possible. 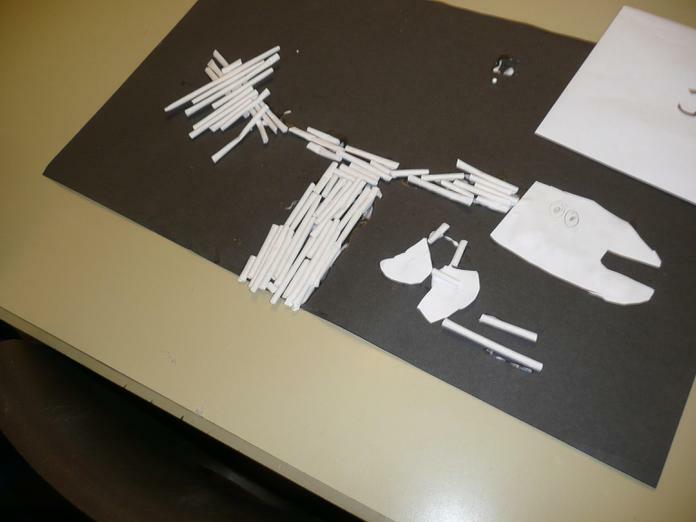 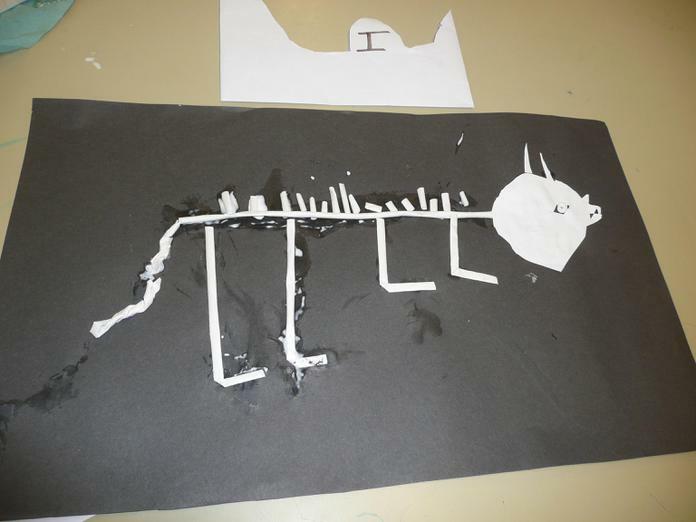 After finishing our challenge, we pretended that our classroom was the site of an archaeological dig where some unidentified bones had been uncovered. 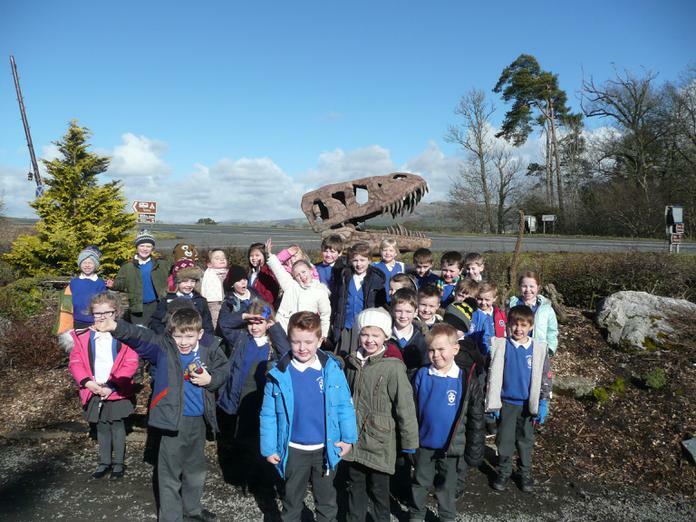 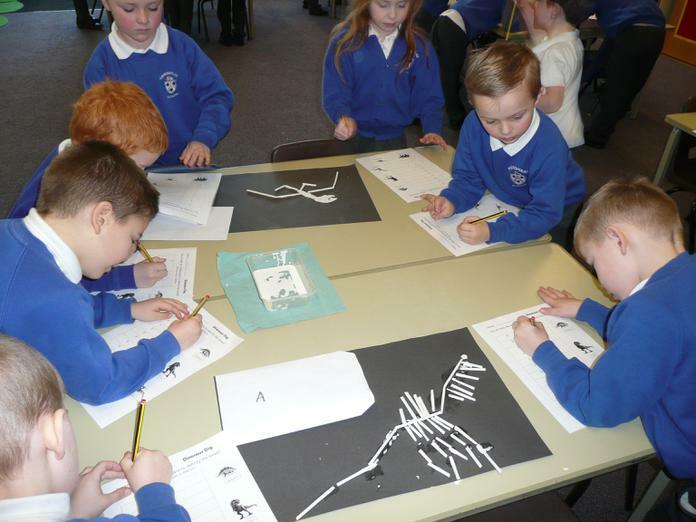 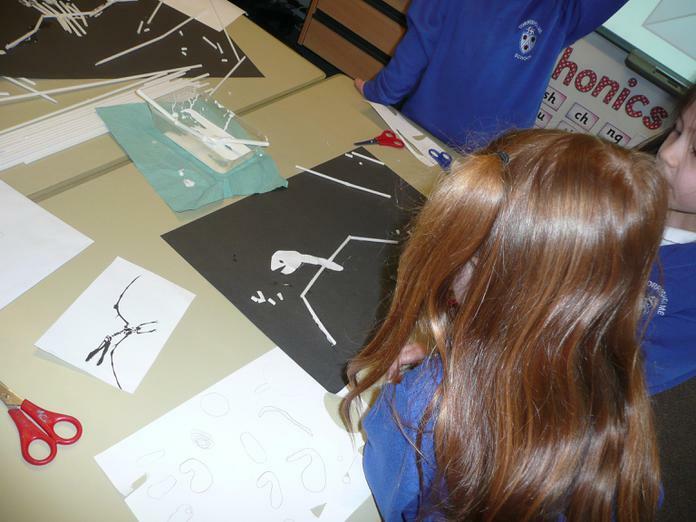 The children got into the role of paleontologist and went to each of the skeletons in the classroom to see if they could identify which dinosaur the 'bones' were from. 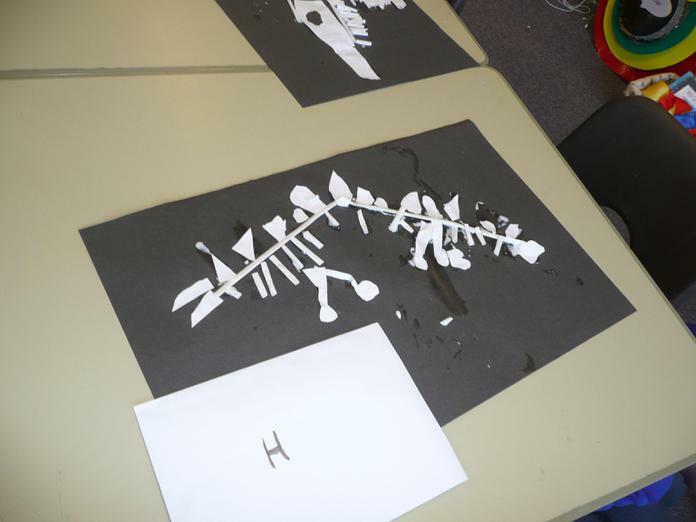 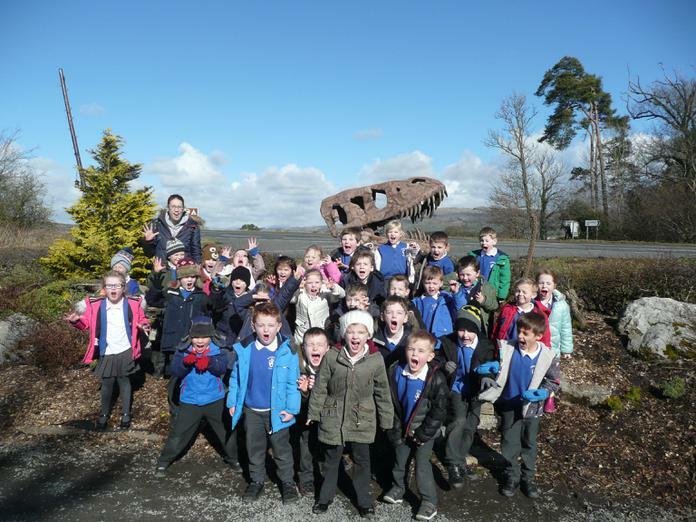 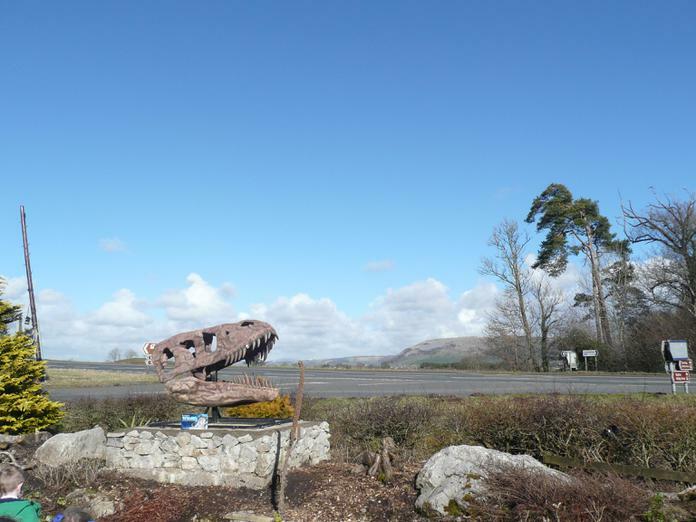 We talked about some of the reasons why a species might become extinct and learnt that scientists do not all agree on how dinosaurs became extinct. 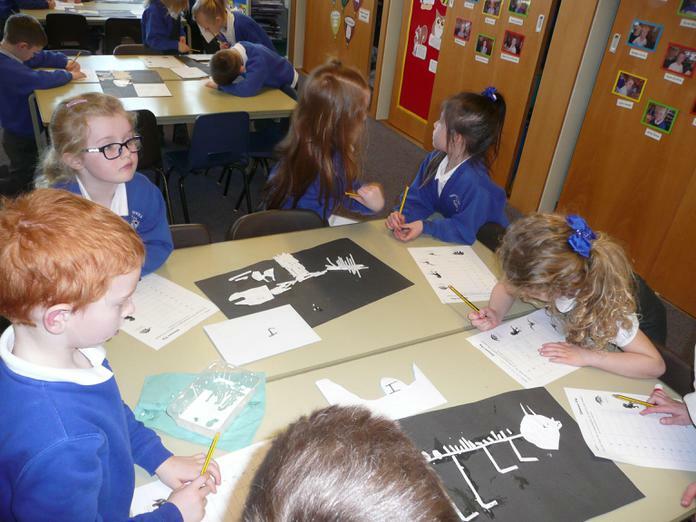 We talked about the theory that a giant asteroid or comet might have be the cause of their demise. 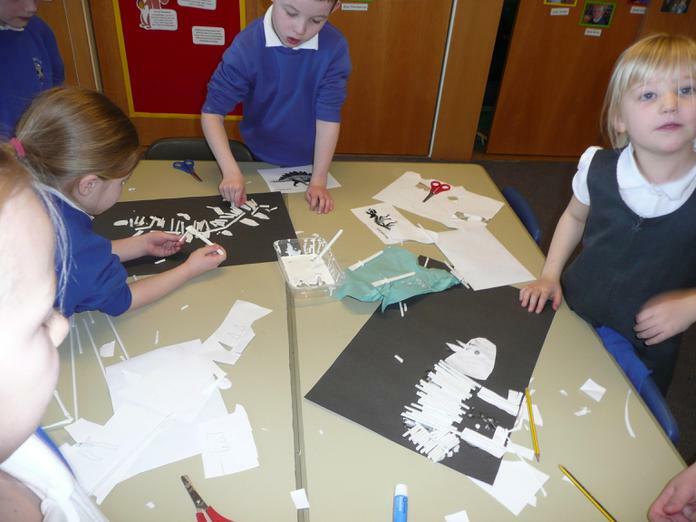 In art, we used oil pastels to create a dark, fiery sky and a rugged landscape with exploding volcanoes. 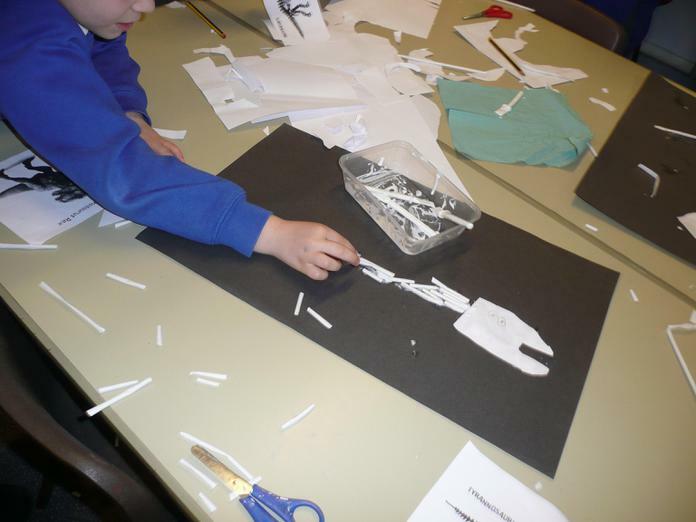 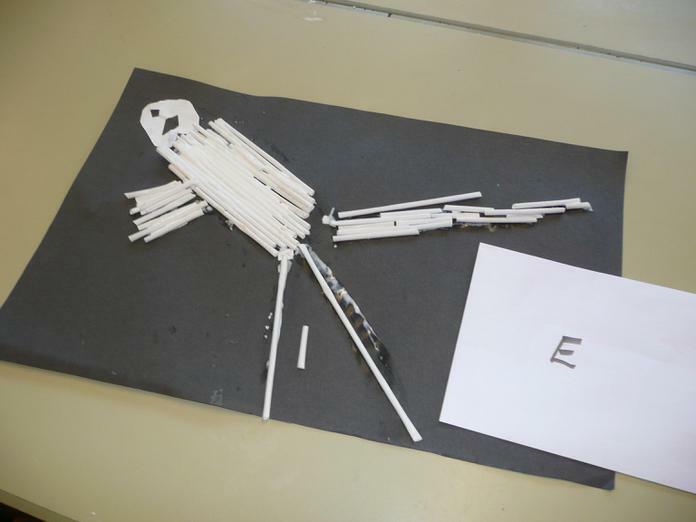 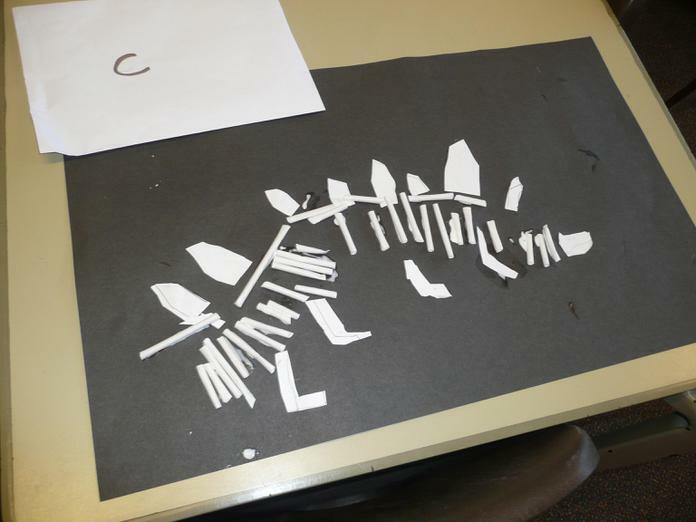 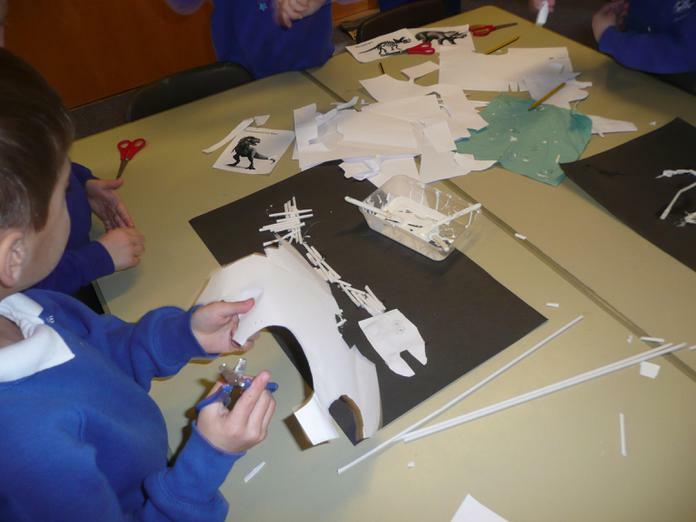 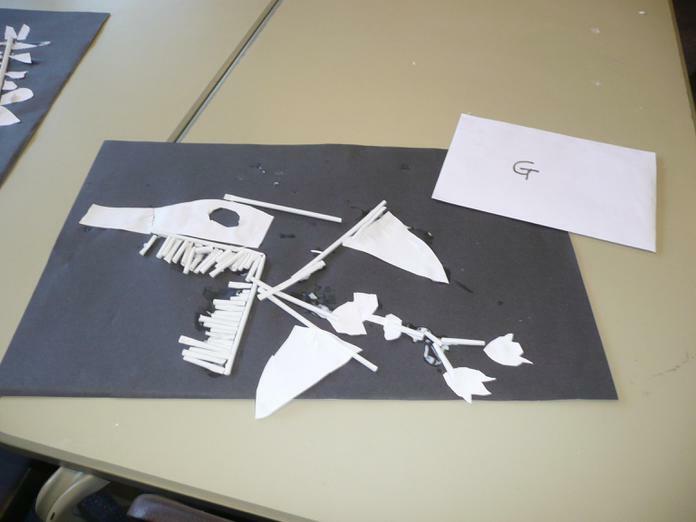 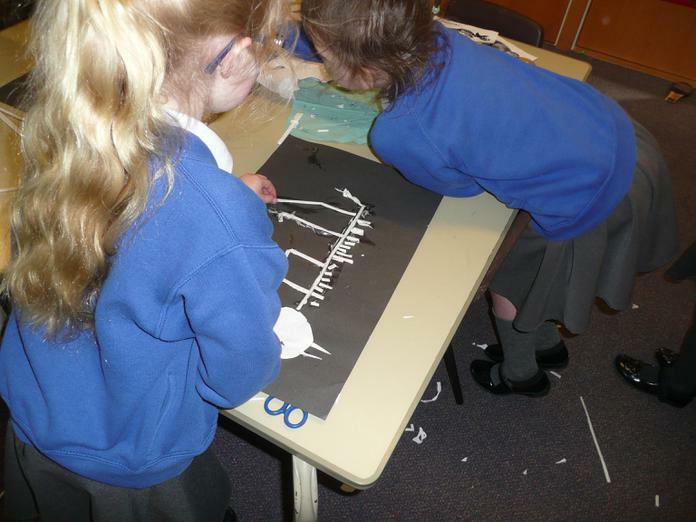 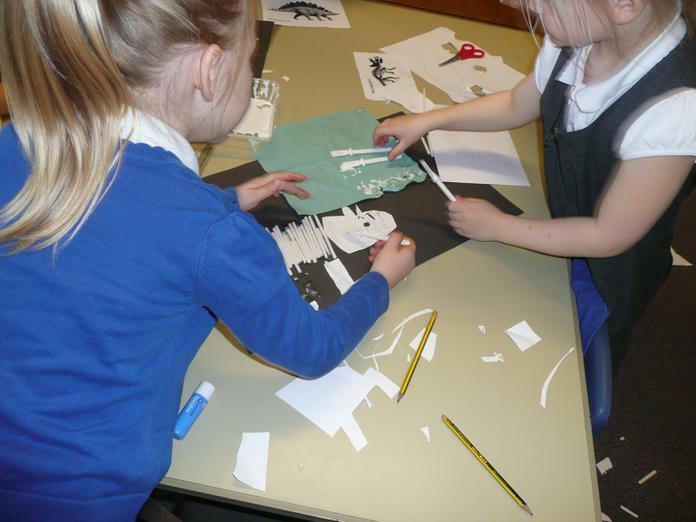 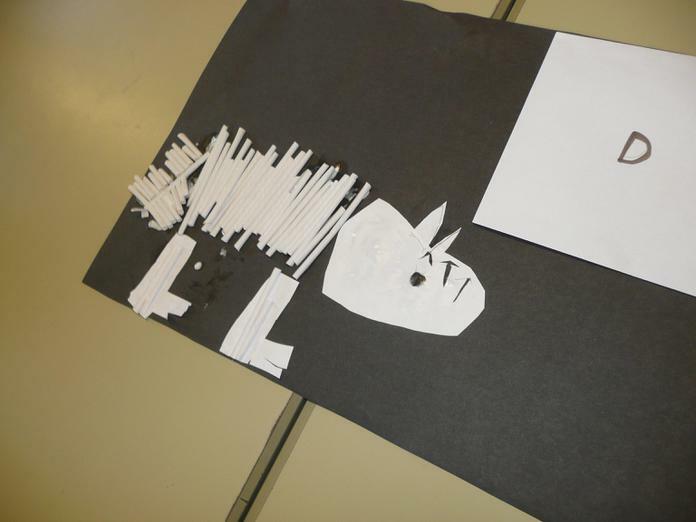 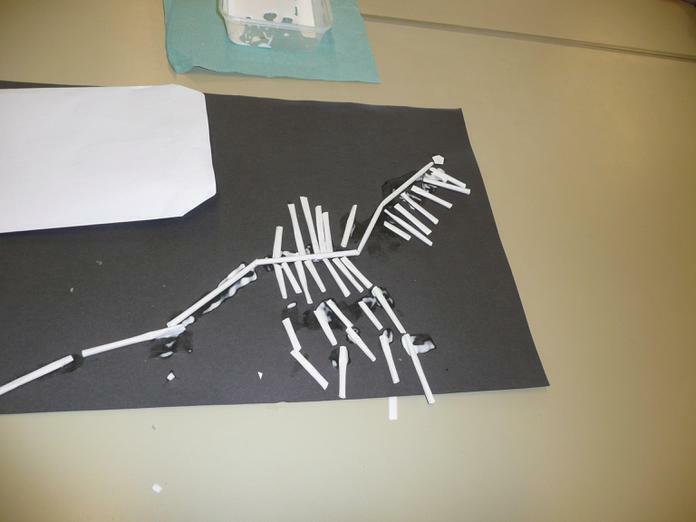 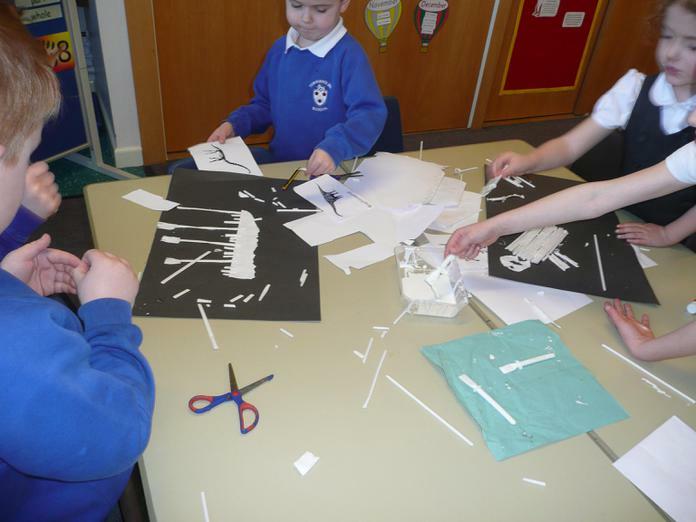 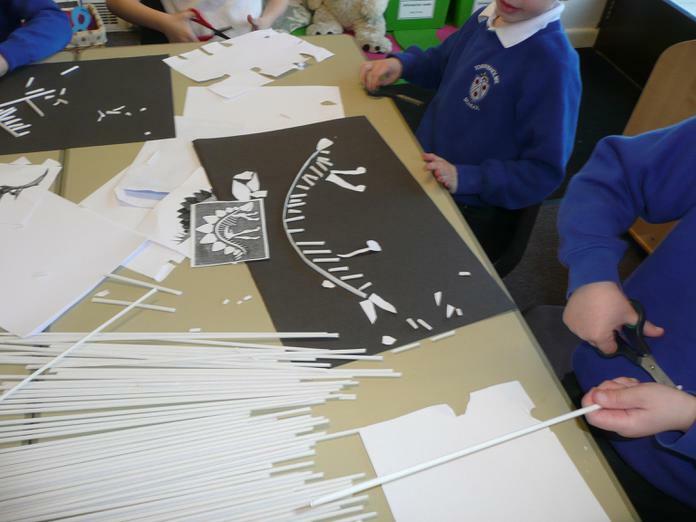 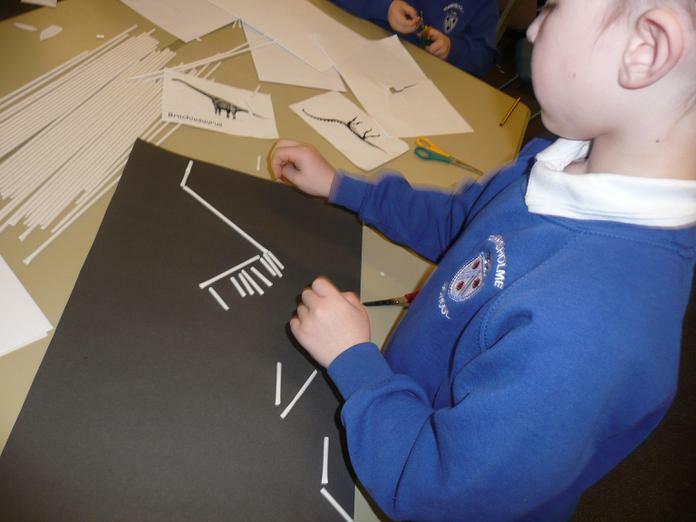 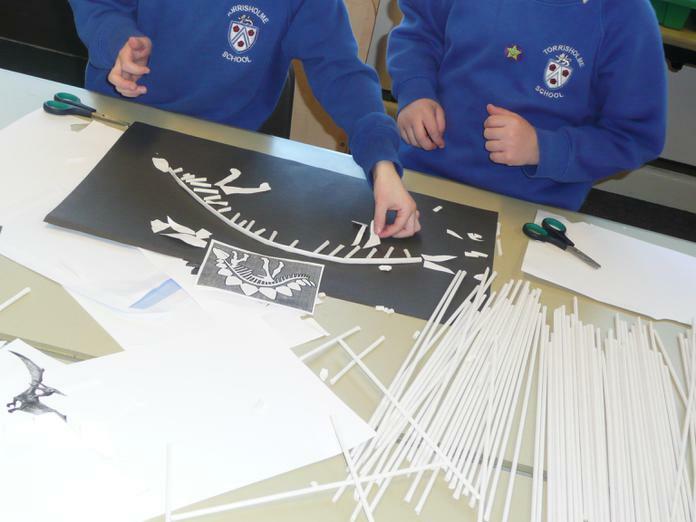 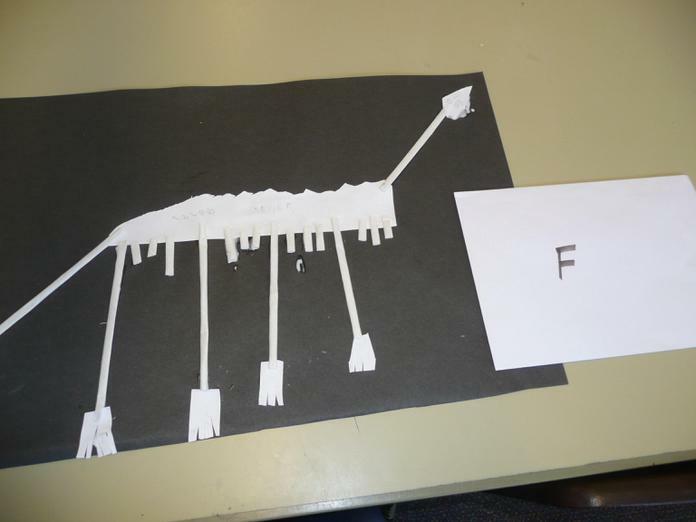 Then we used templates to draw and cut out dinosaurs to add to our scene.